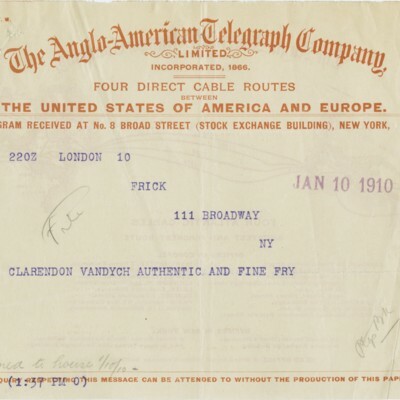 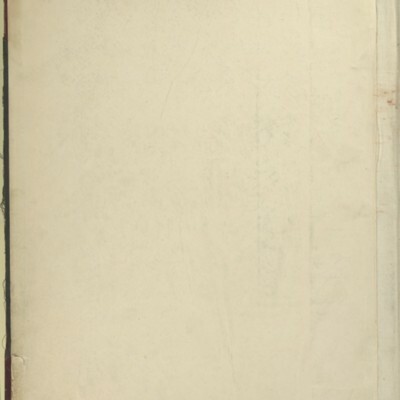 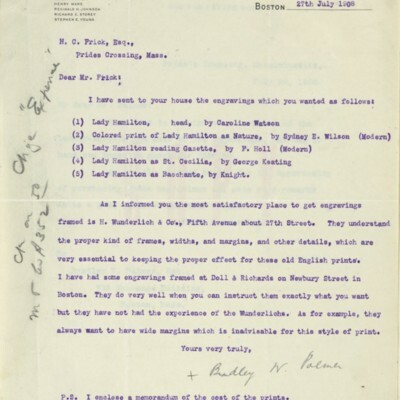 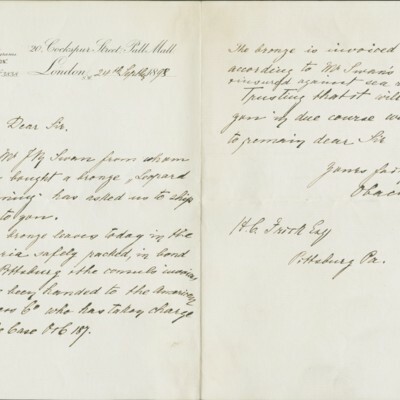 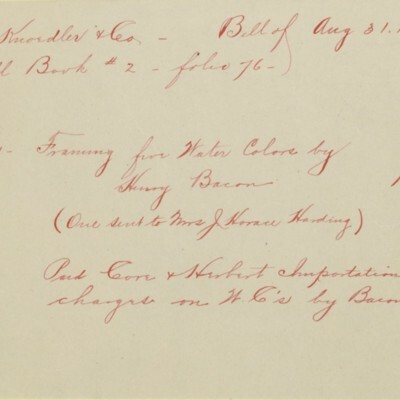 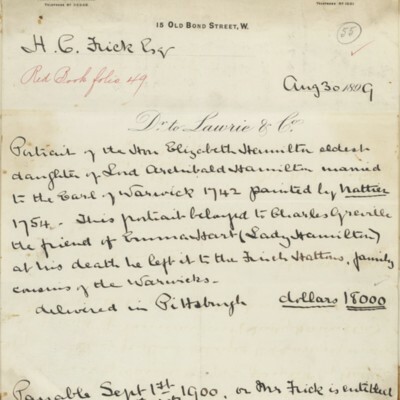 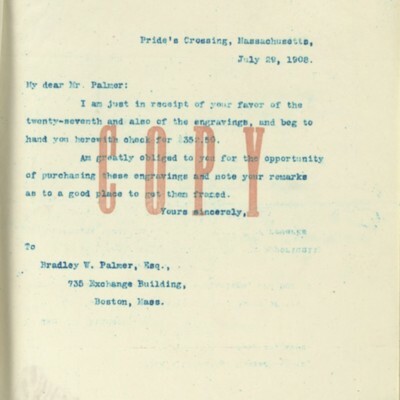 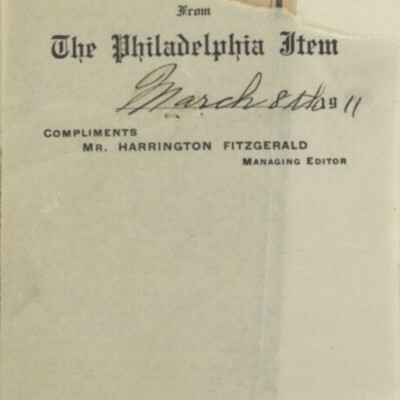 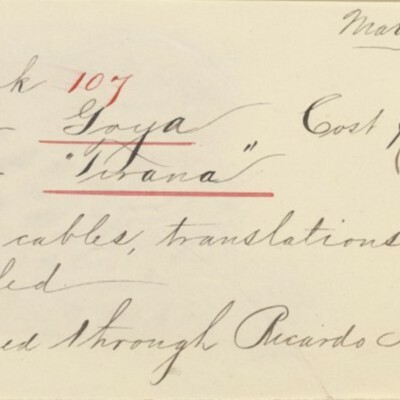 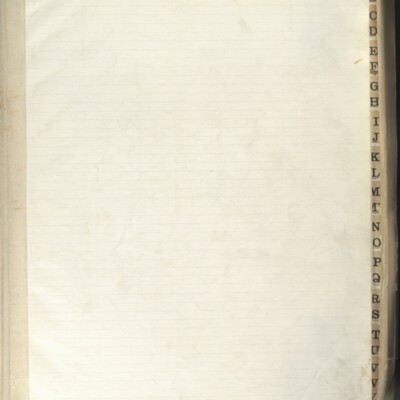 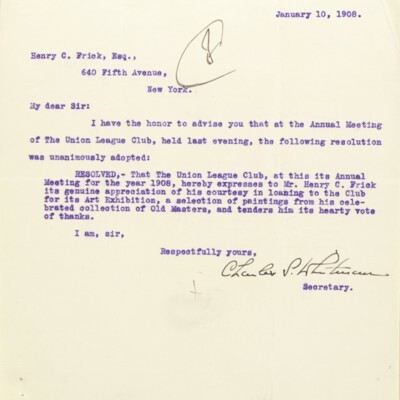 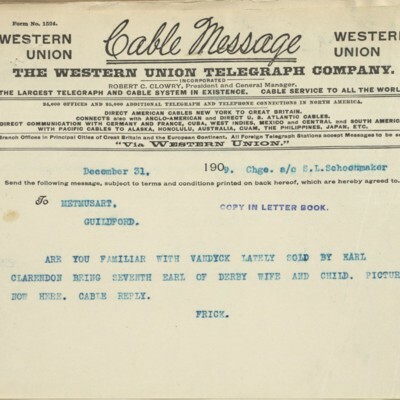 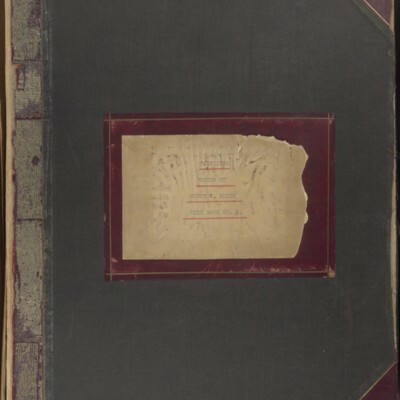 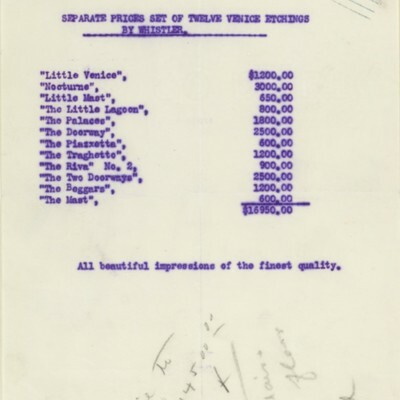 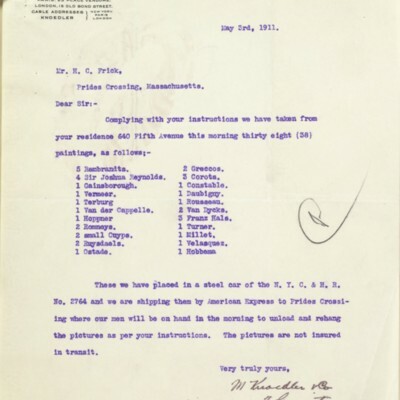 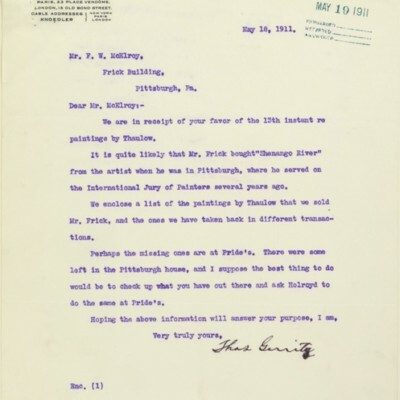 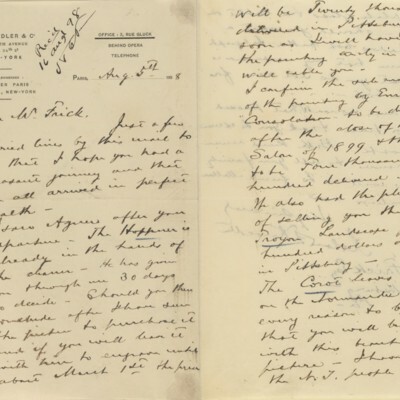 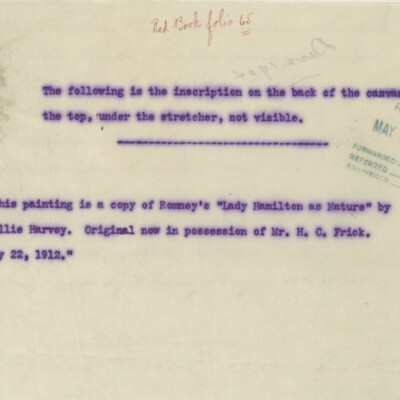 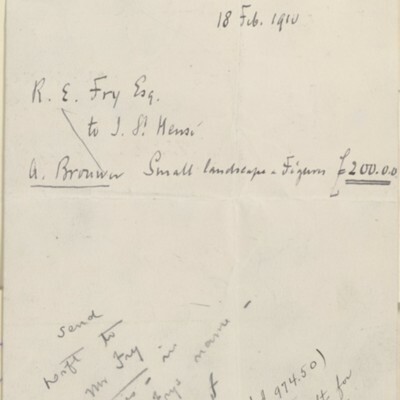 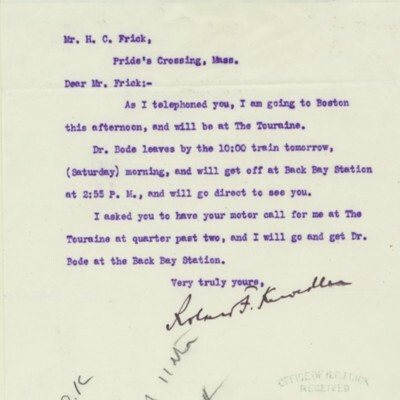 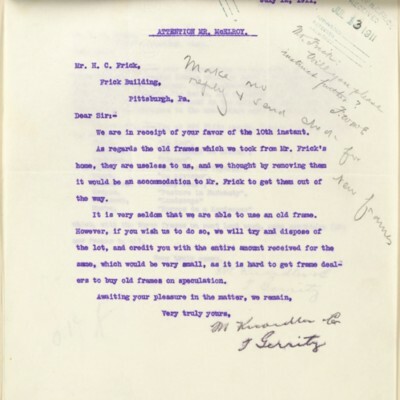 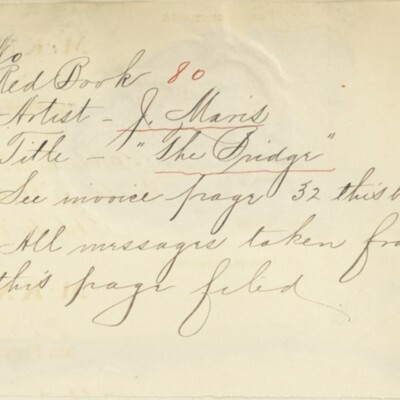 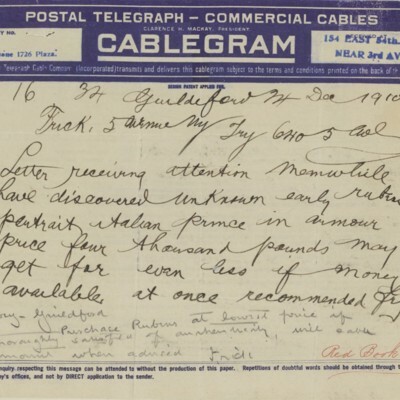 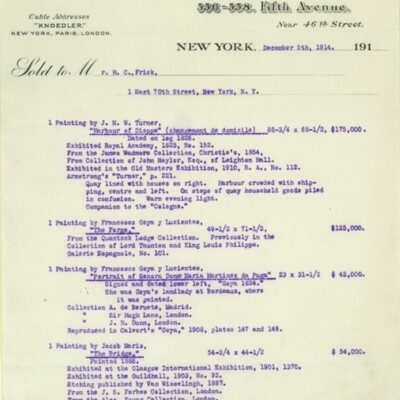 Contains invoices, correspondence, provenance information, telegrams, and newspaper clippings, with an index in the front of the volume. 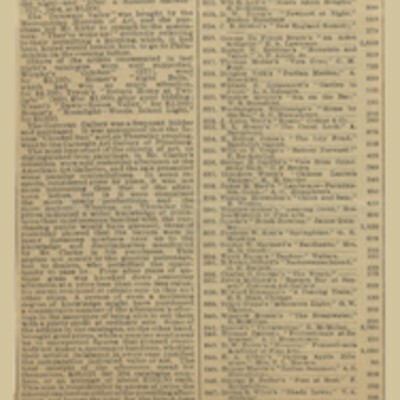 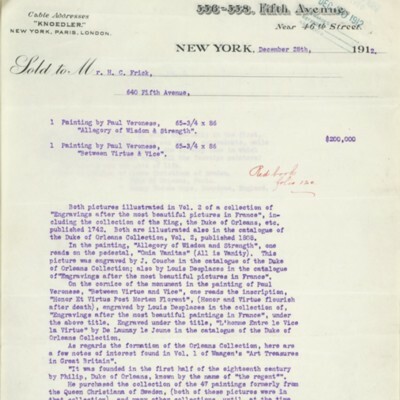 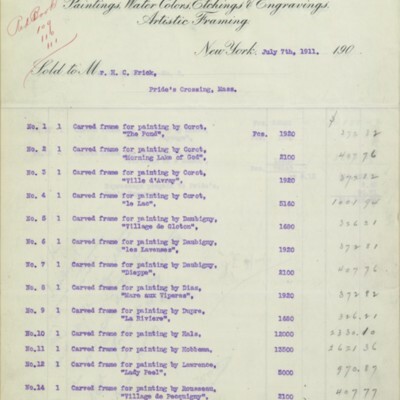 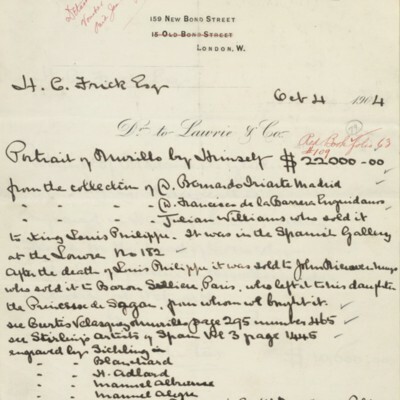 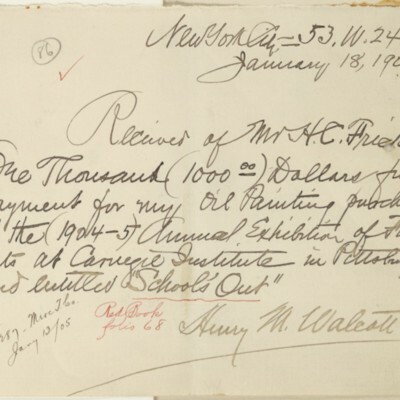 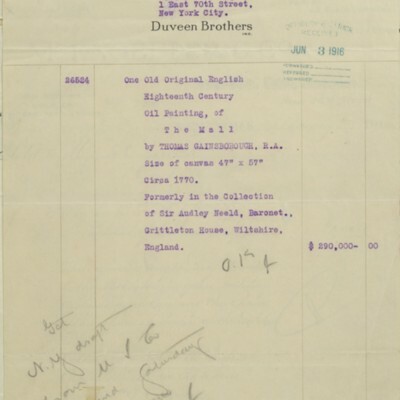 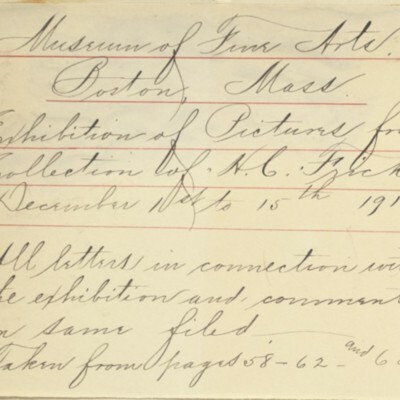 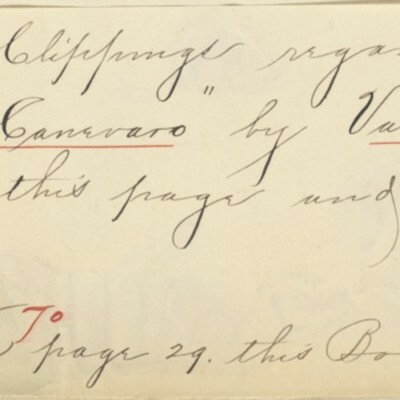 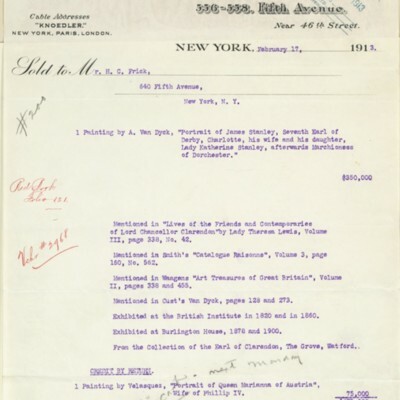 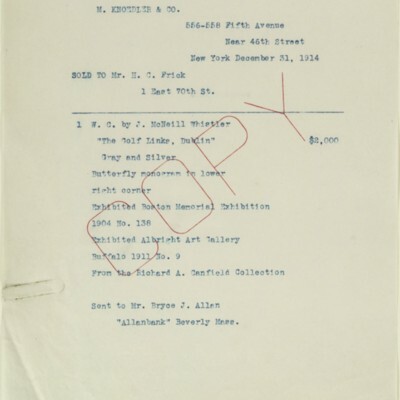 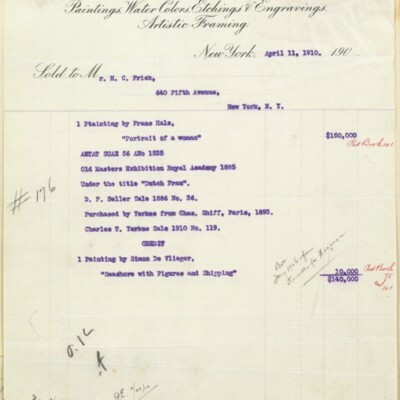 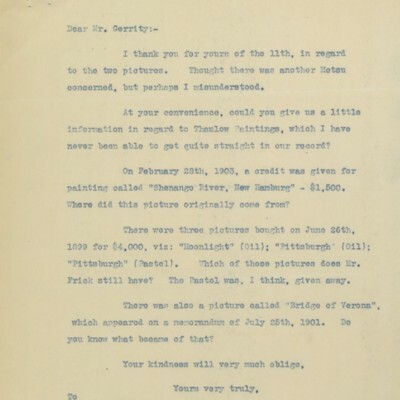 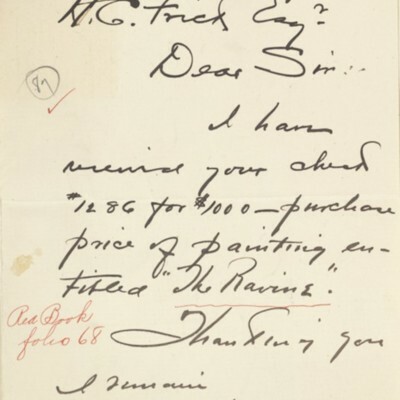 This volume documents purchases and other art-related matters from 1897-1916. 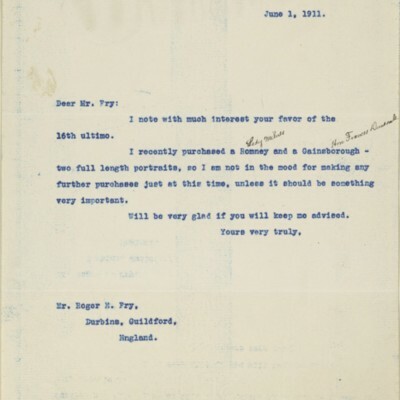 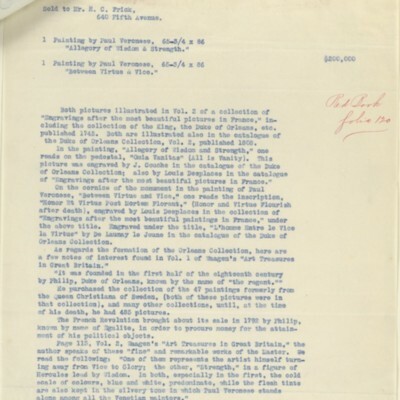 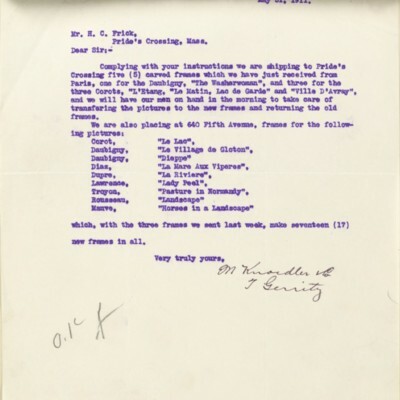 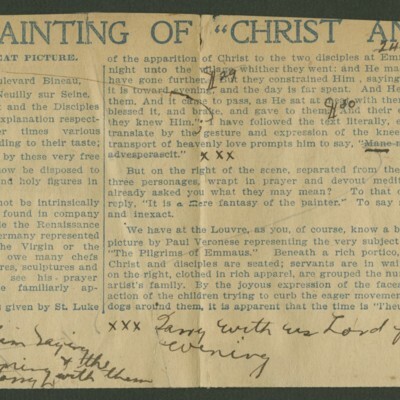 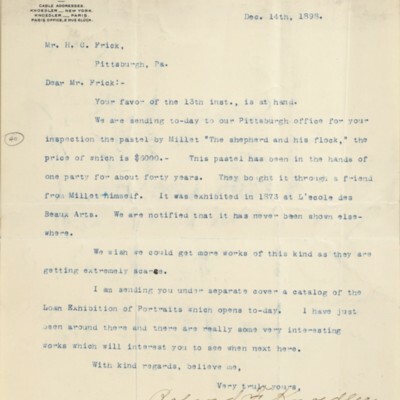 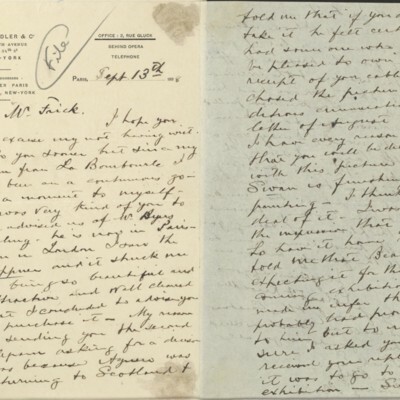 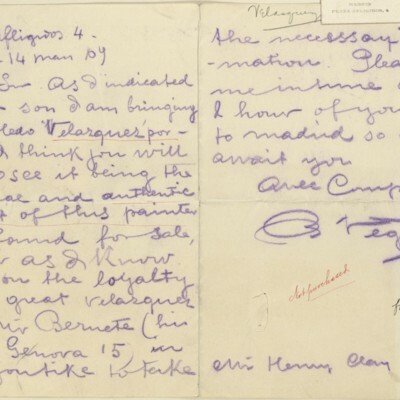 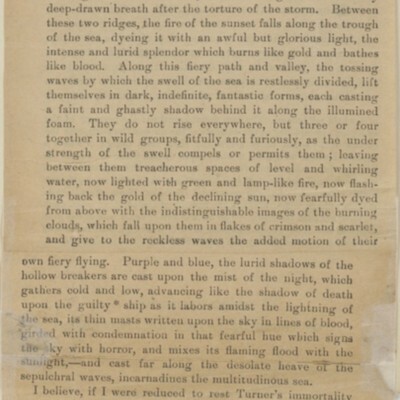 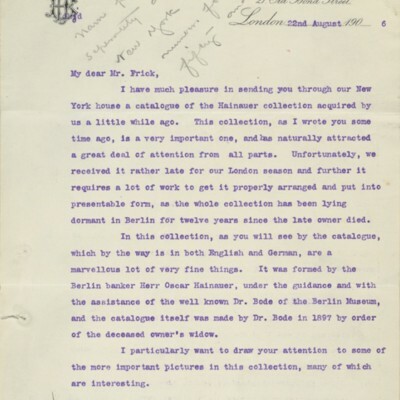 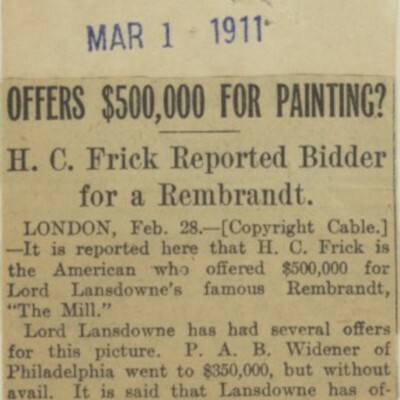 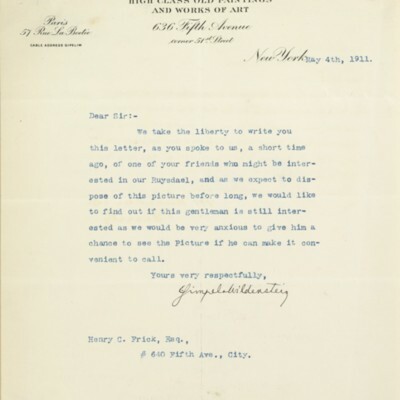 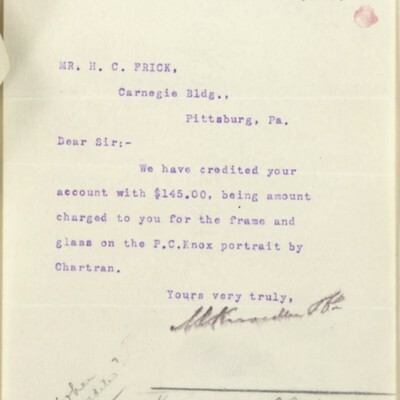 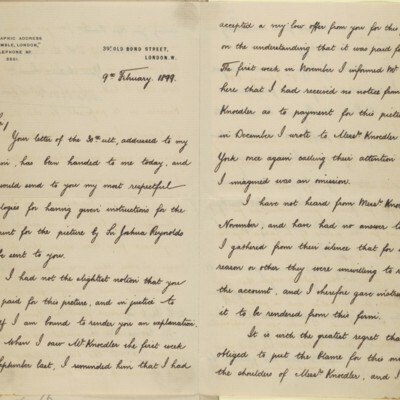 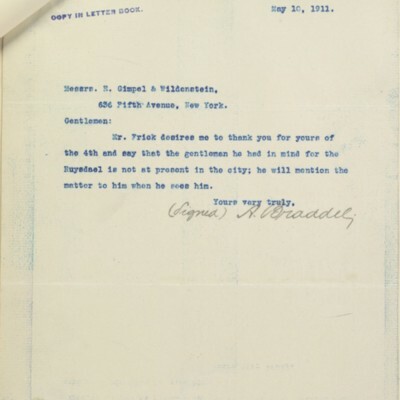 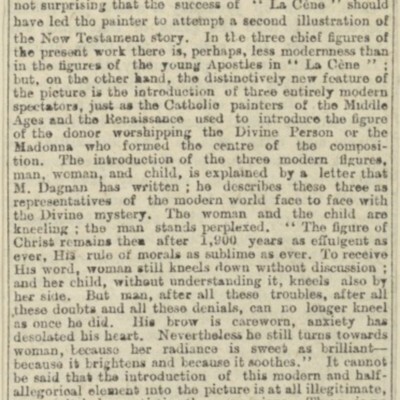 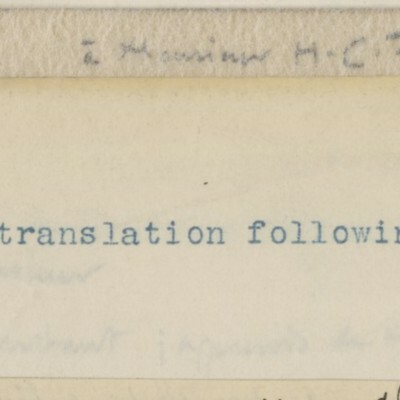 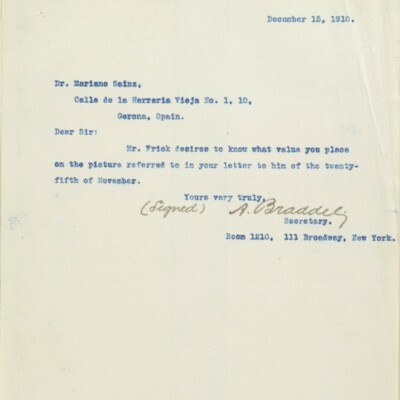 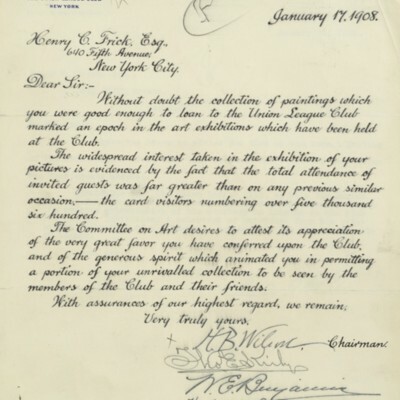 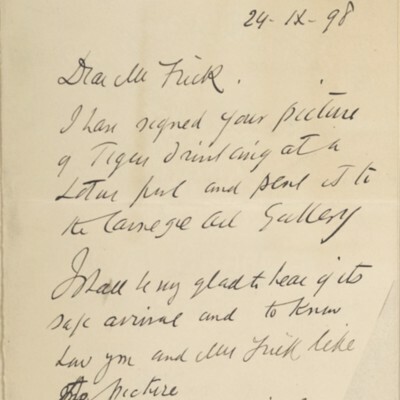 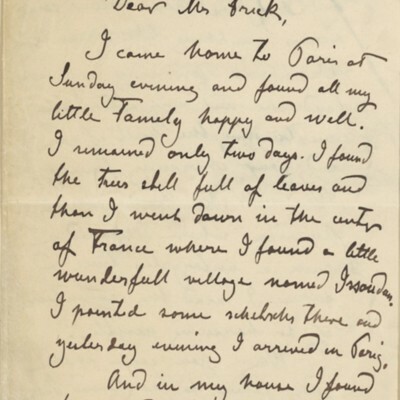 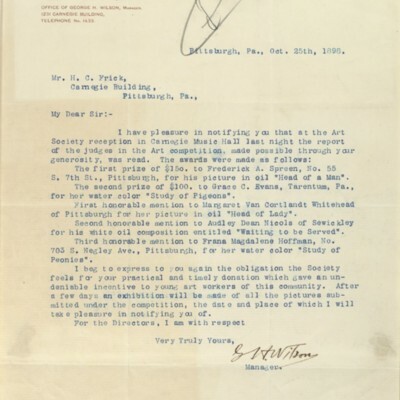 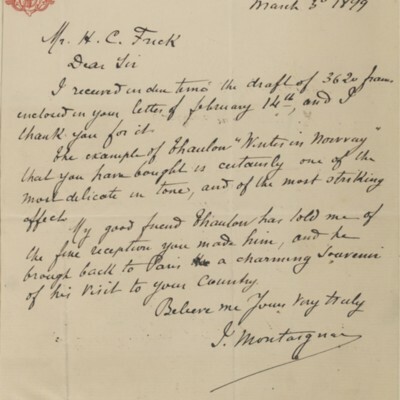 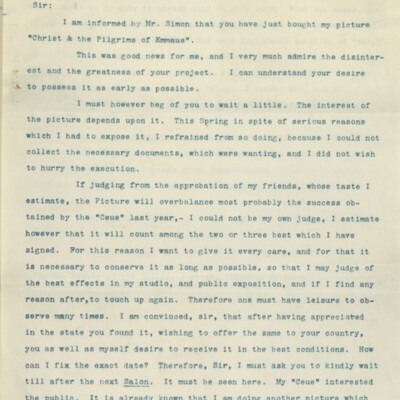 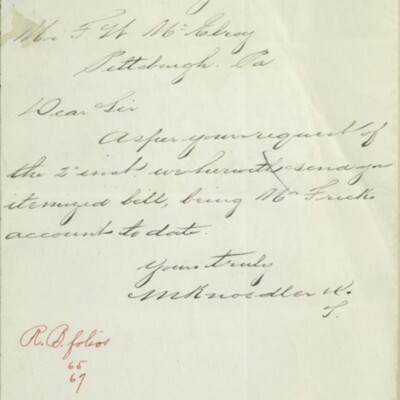 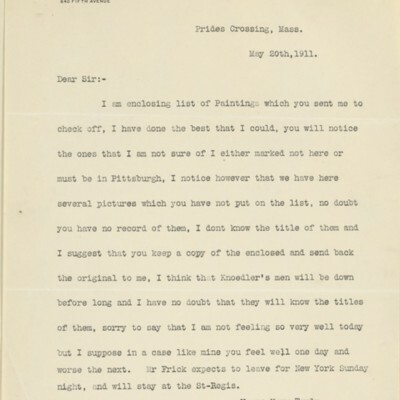 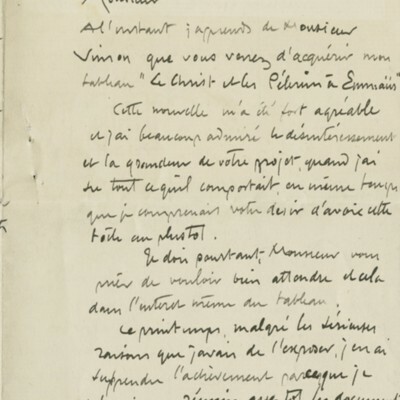 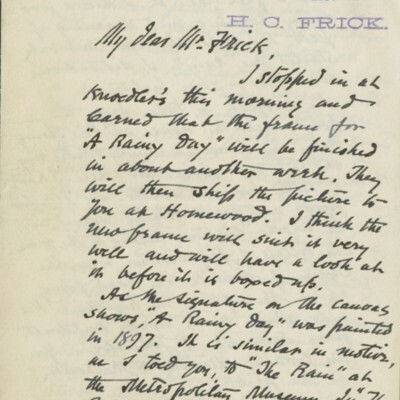 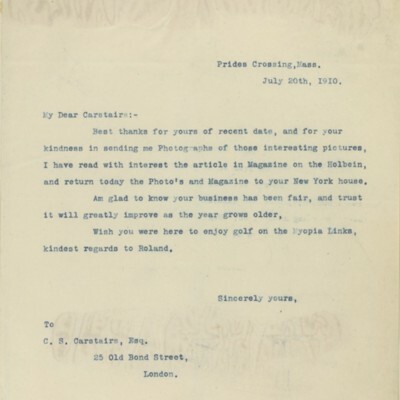 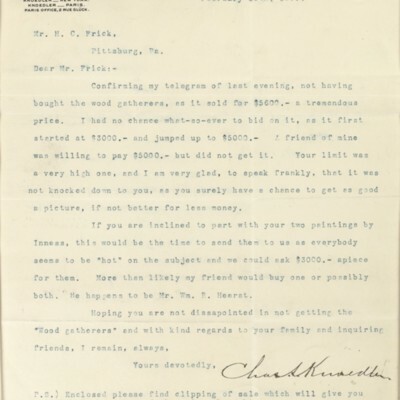 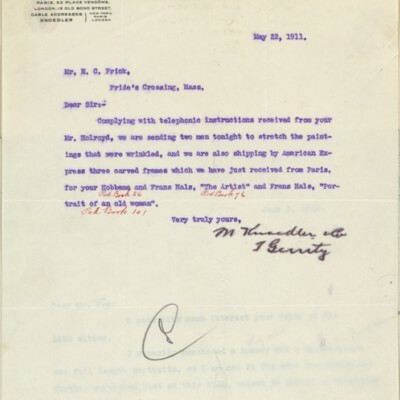 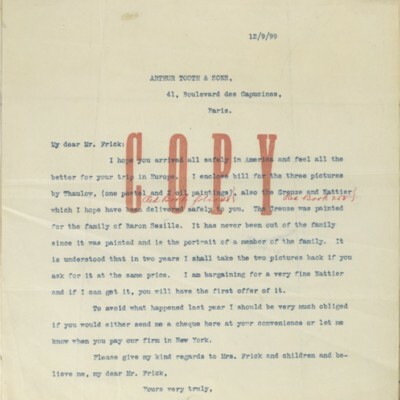 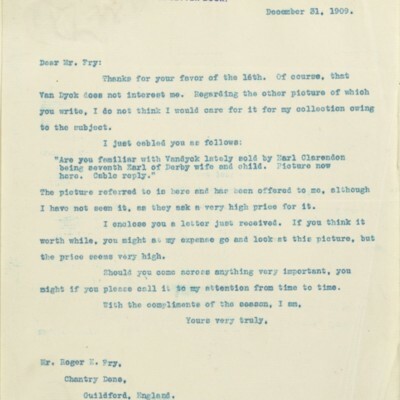 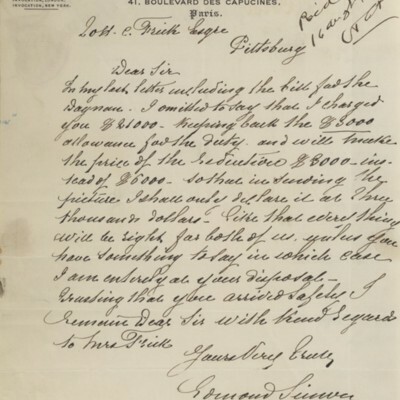 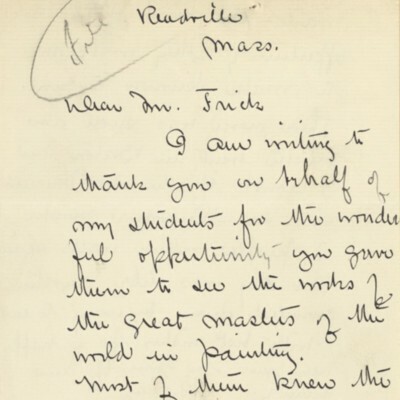 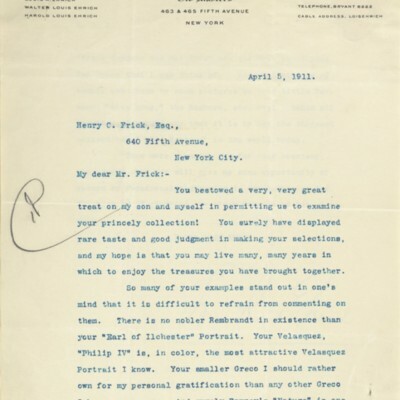 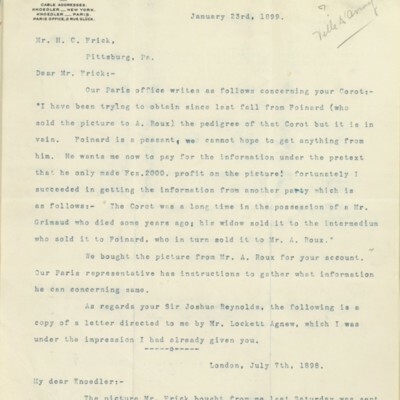 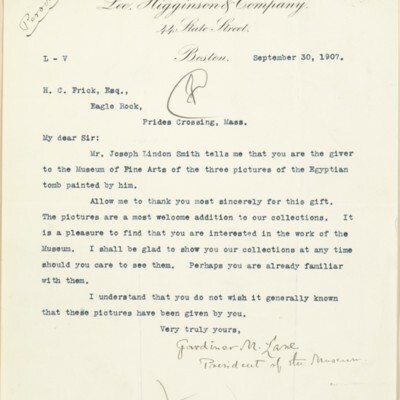 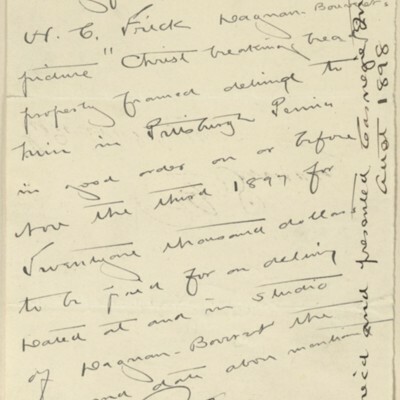 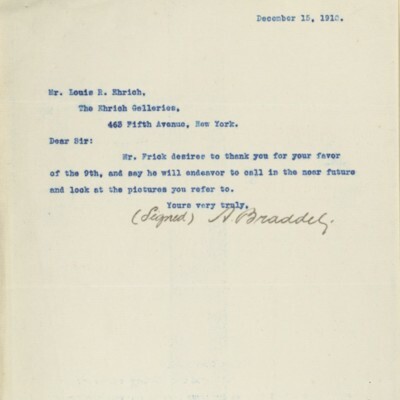 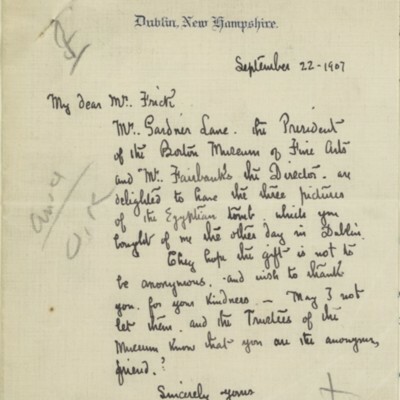 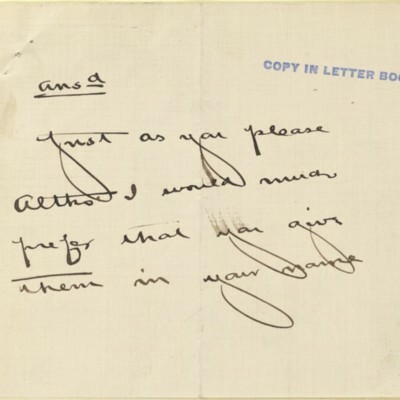 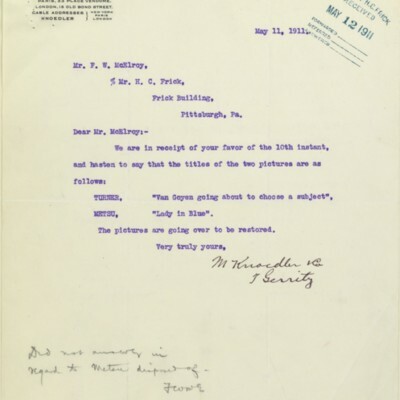 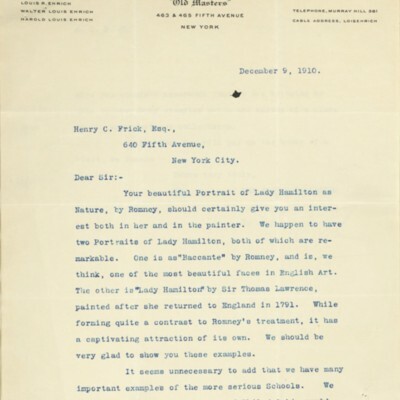 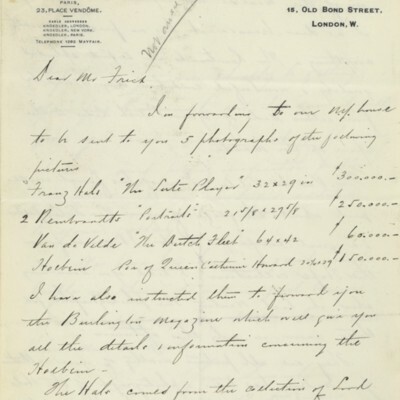 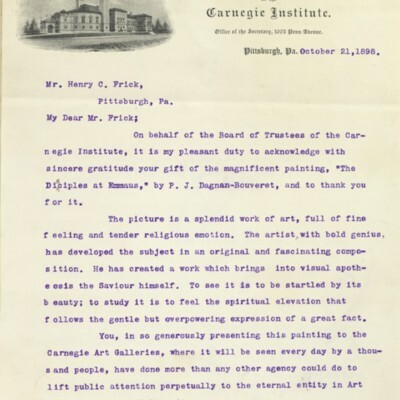 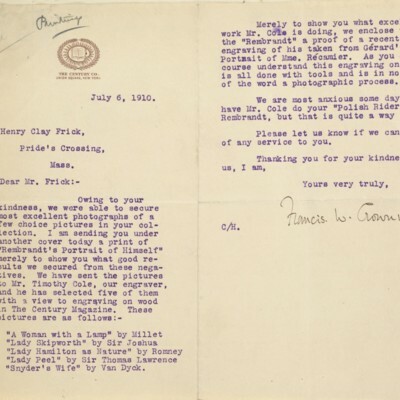 Correspondents include Pascal-Adolphe-Jean Dagnan-Bouveret, William A. Coffin, Duveen Brothers, Ehrich Galleries, Roger Fry, Charles Knoedler and Roland Knoedler of M. Knoedler and Co., Joseph Lindon Smith, Edmund Tarbell, and Fritz Thaulow. 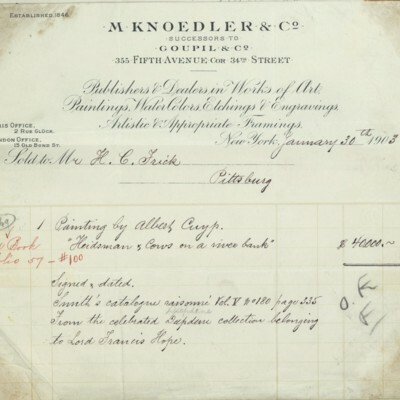 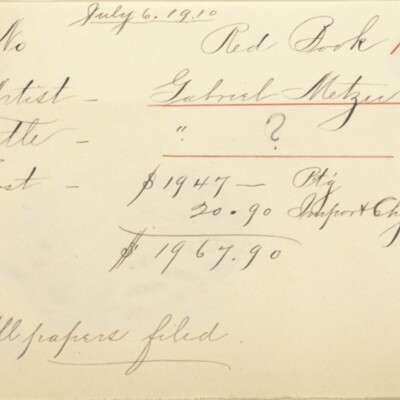 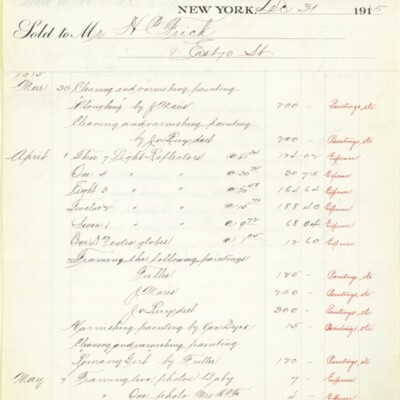 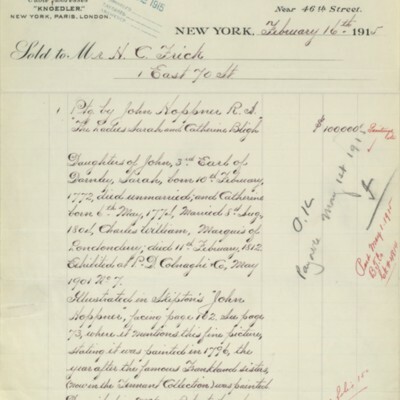 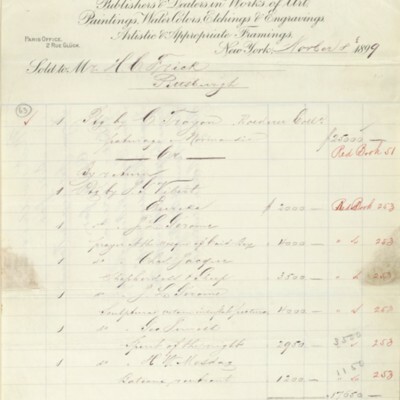 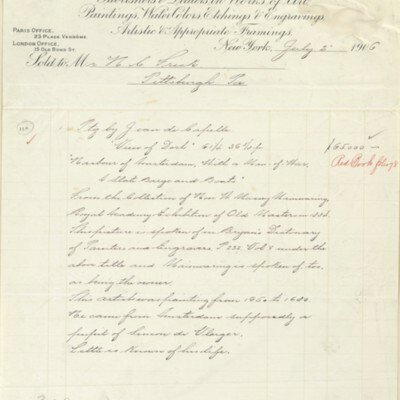 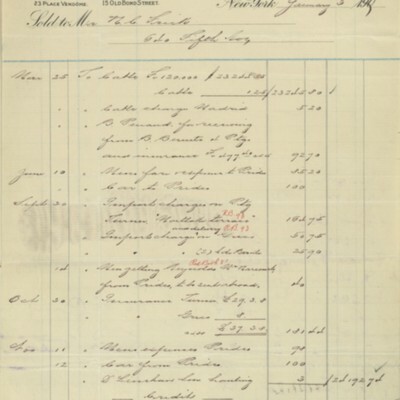 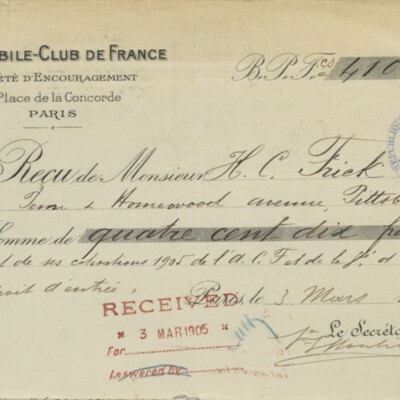 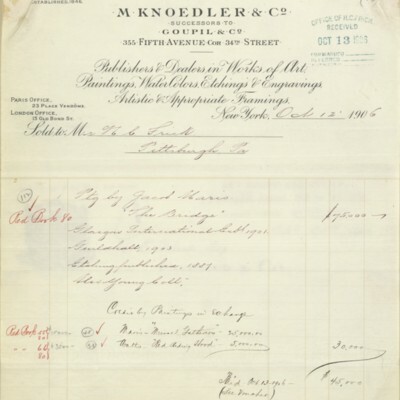 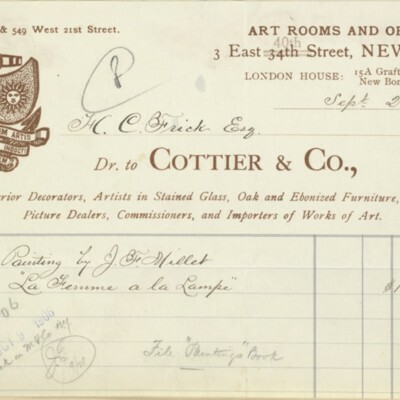 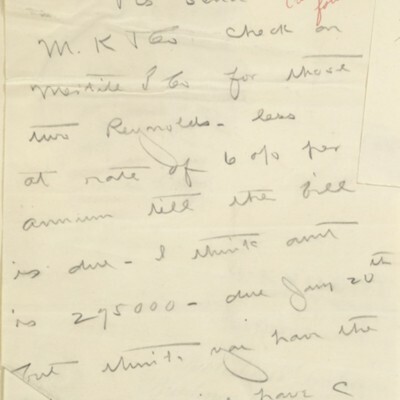 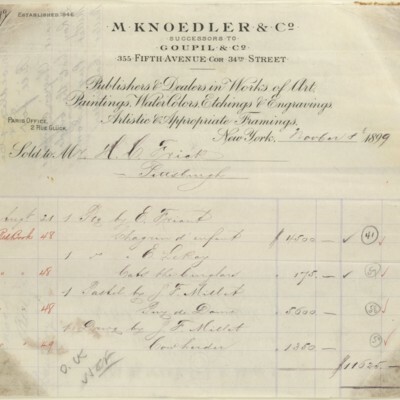 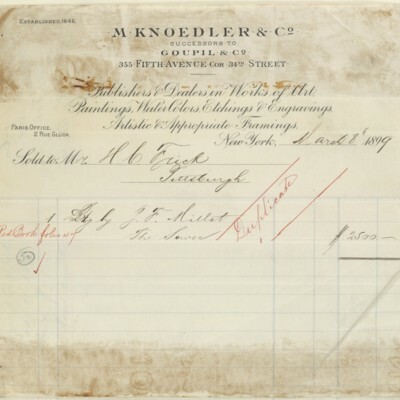 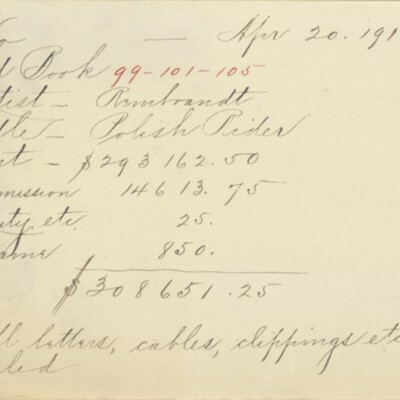 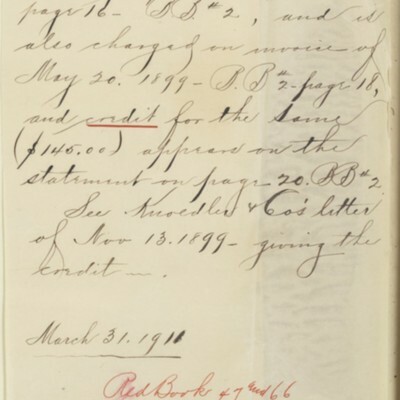 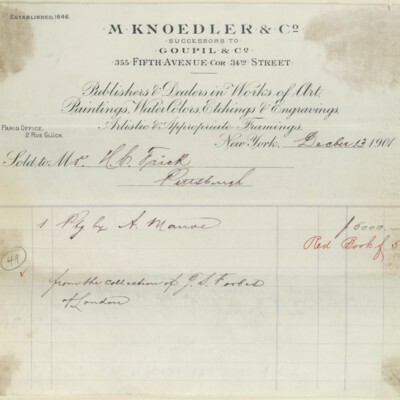 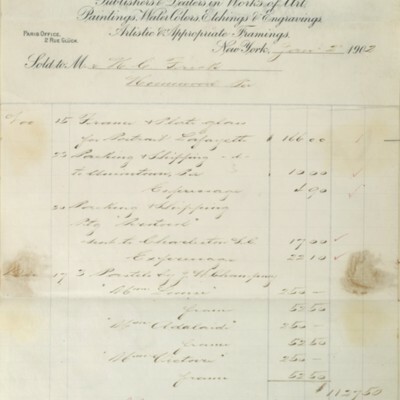 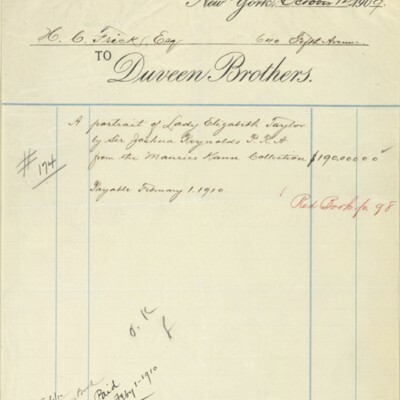 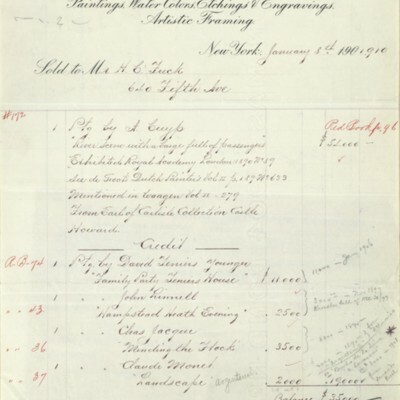 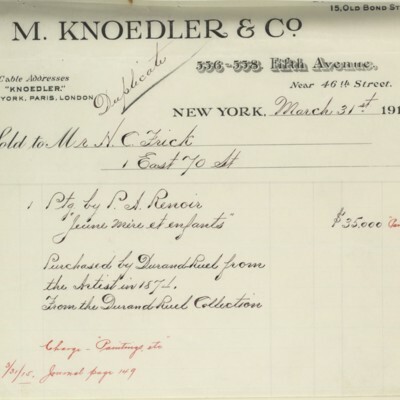 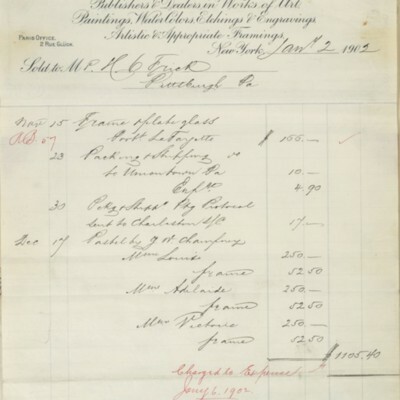 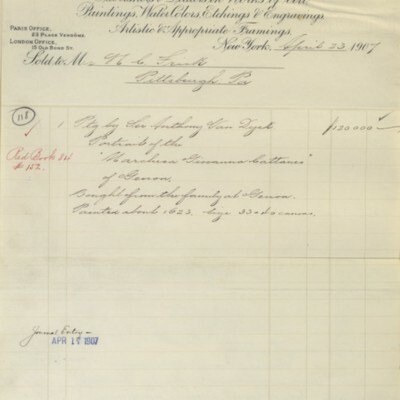 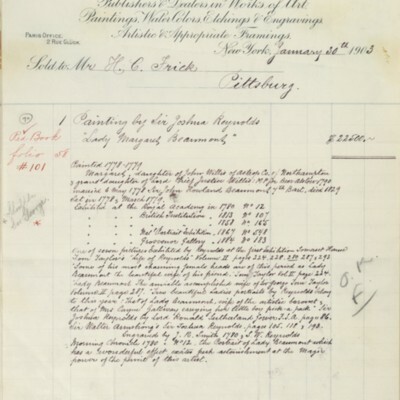 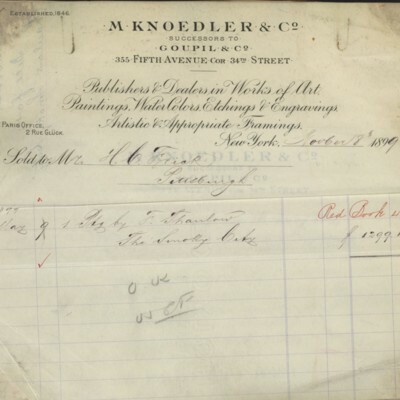 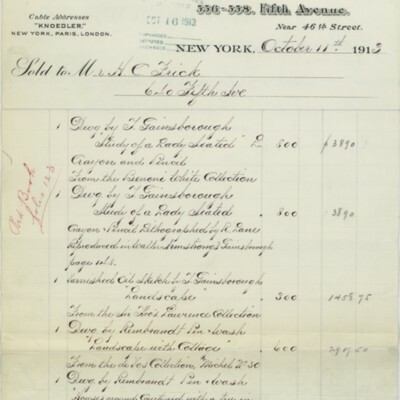 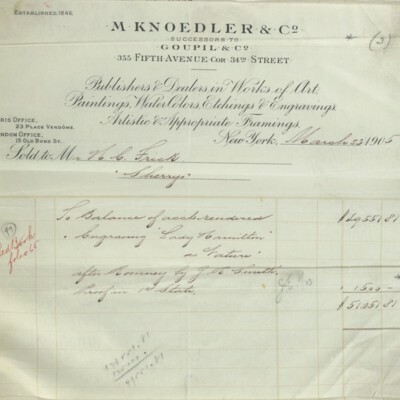 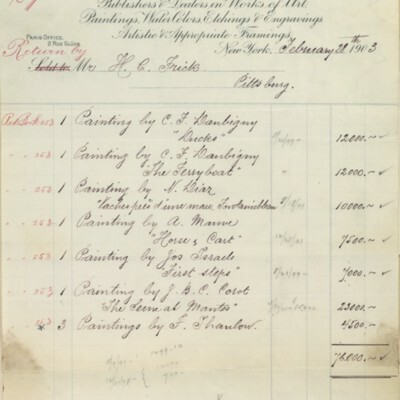 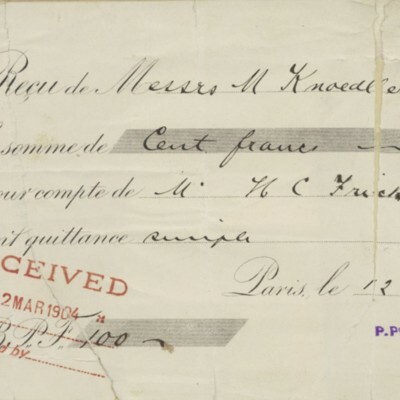 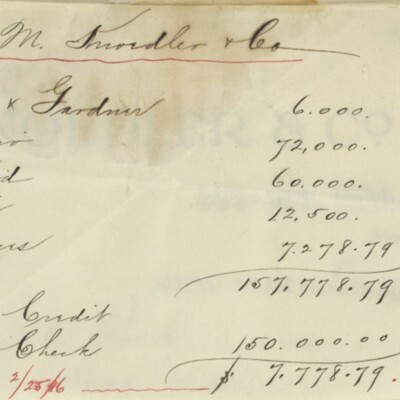 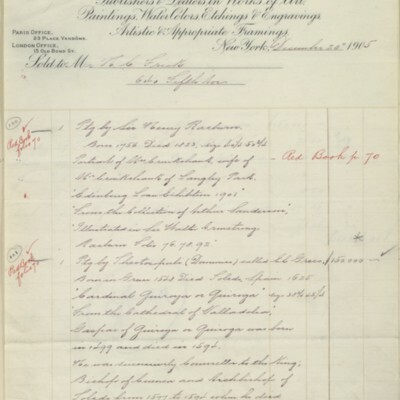 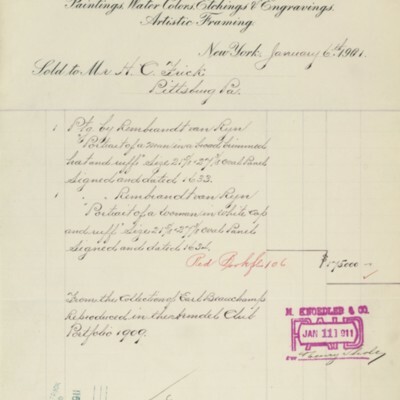 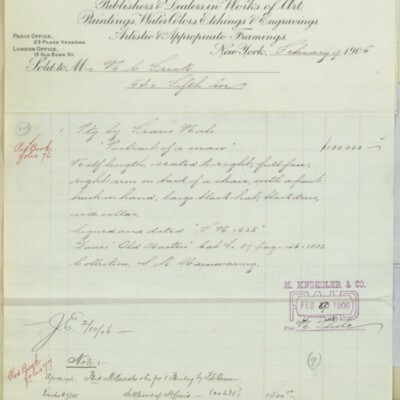 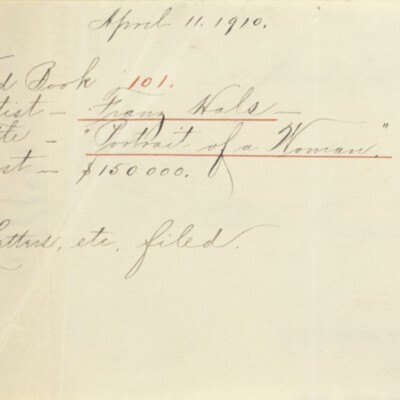 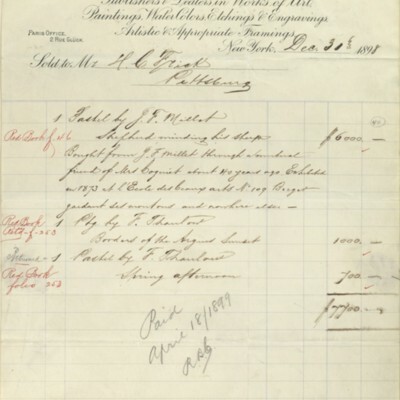 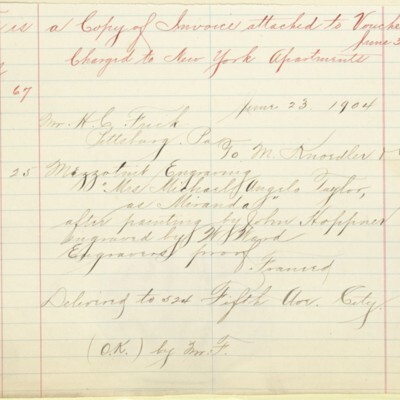 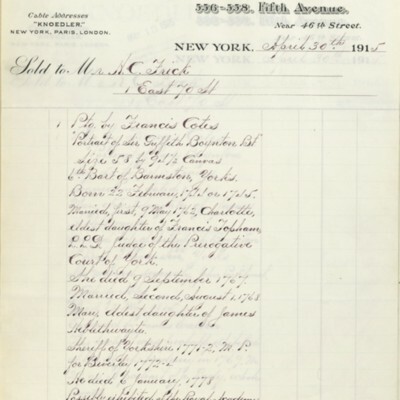 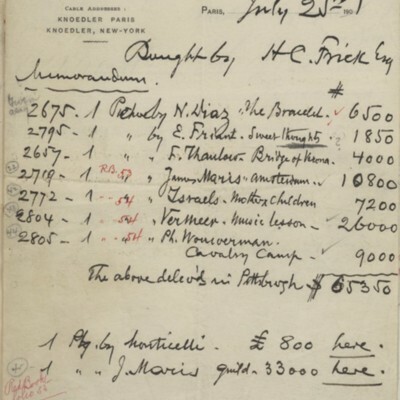 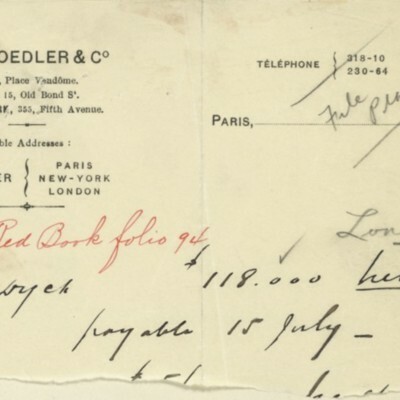 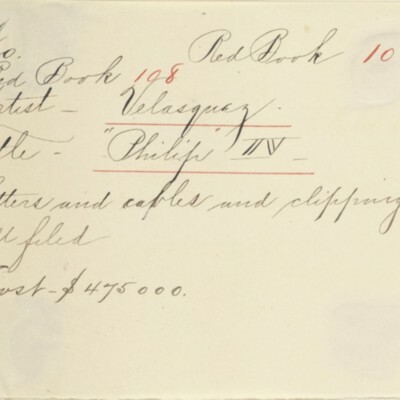 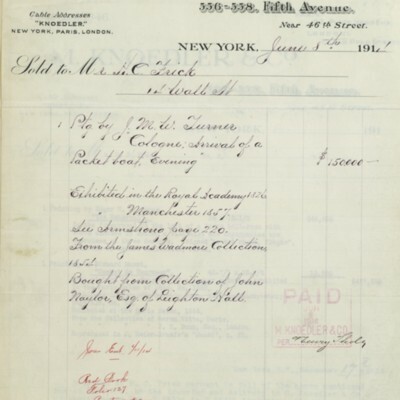 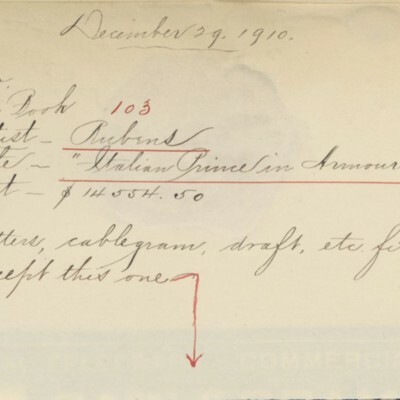 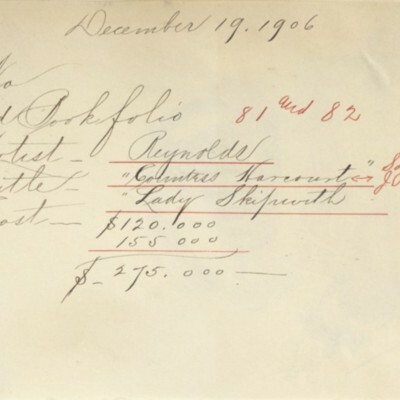 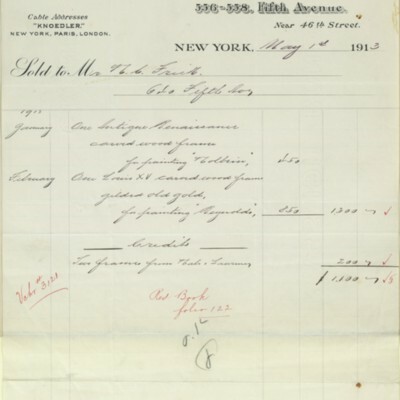 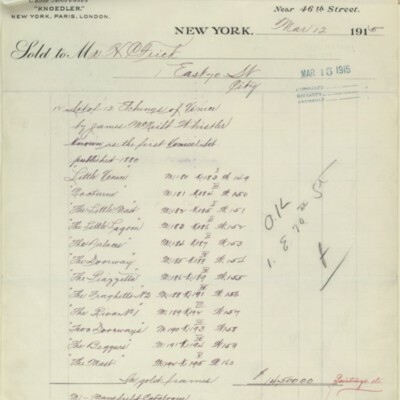 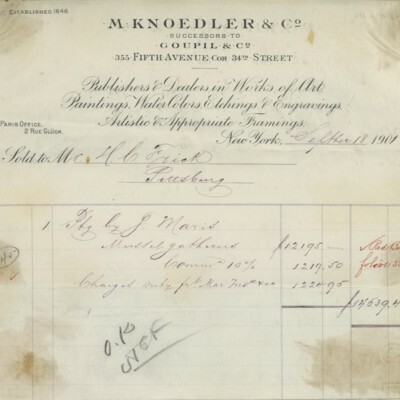 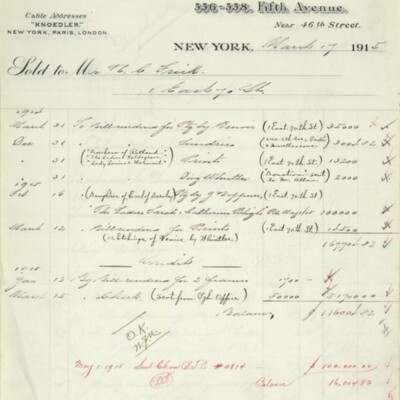 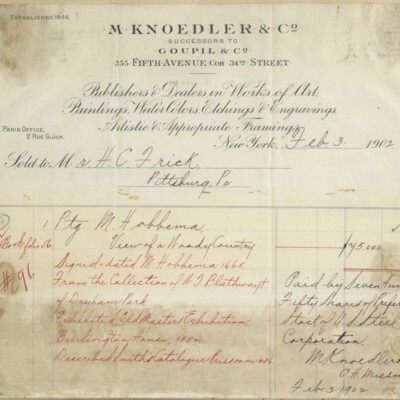 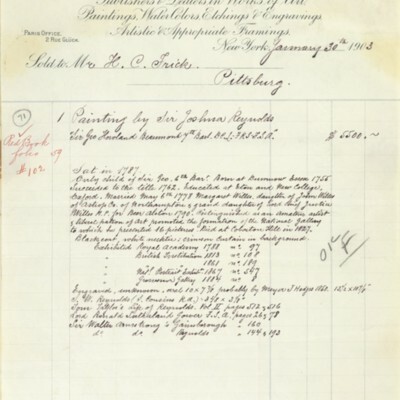 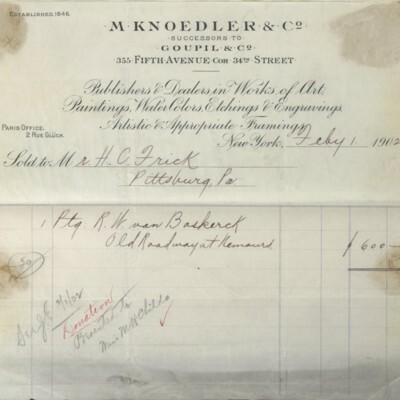 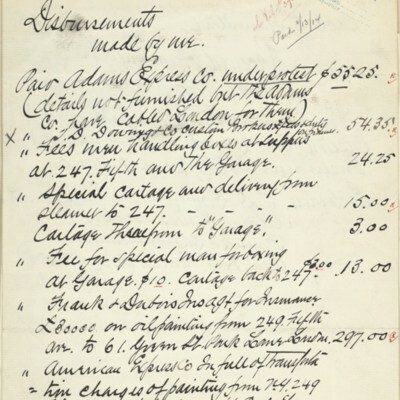 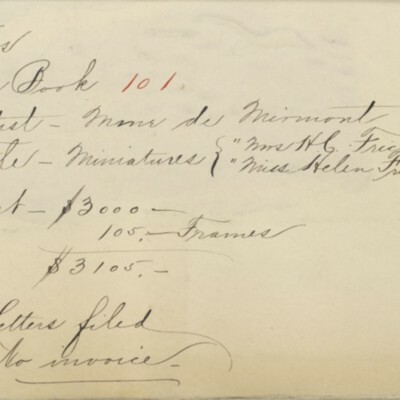 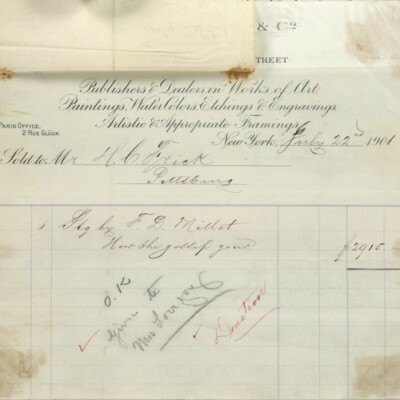 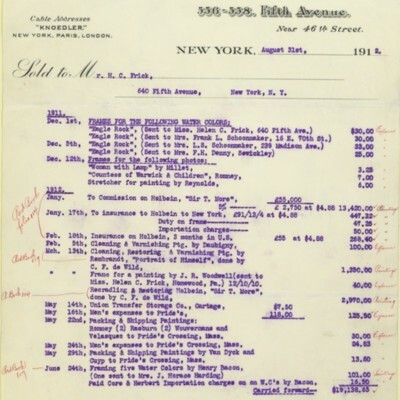 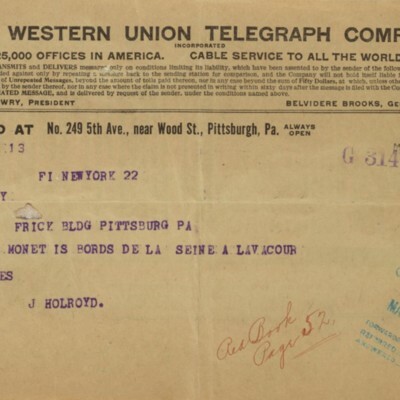 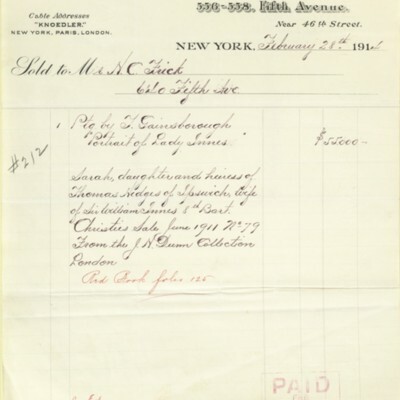 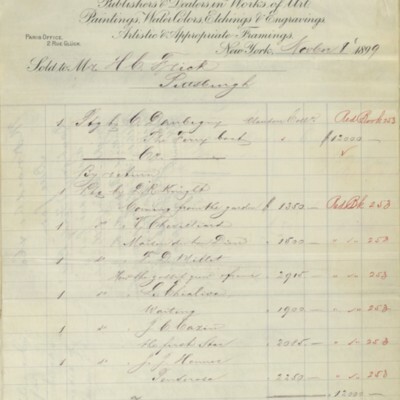 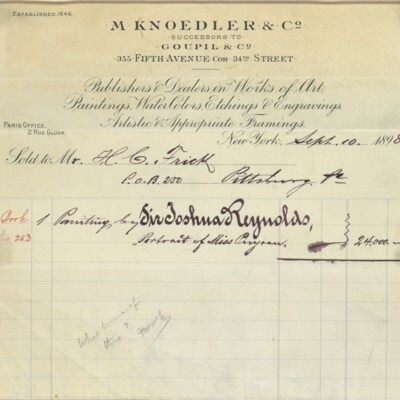 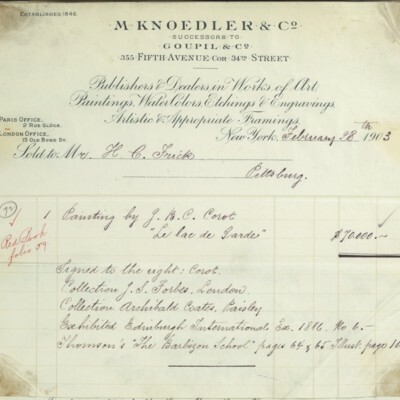 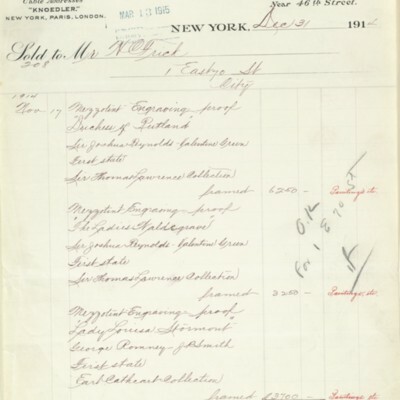 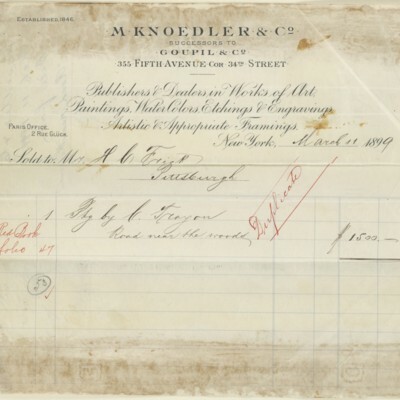 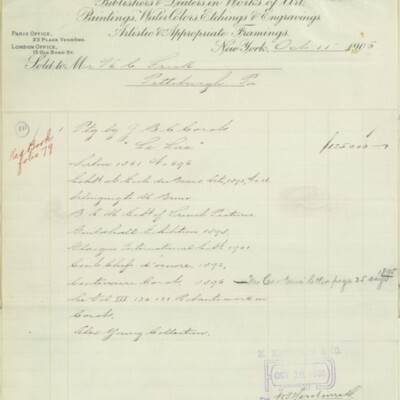 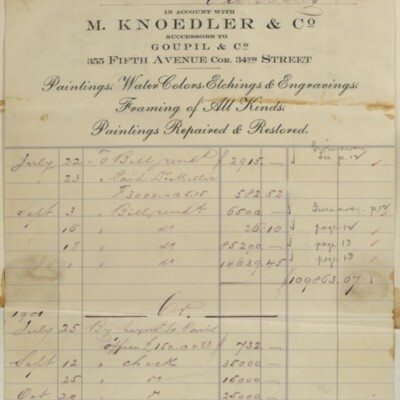 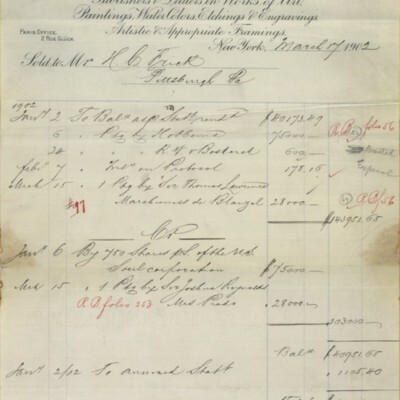 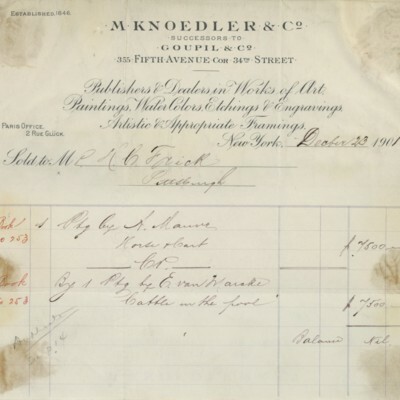 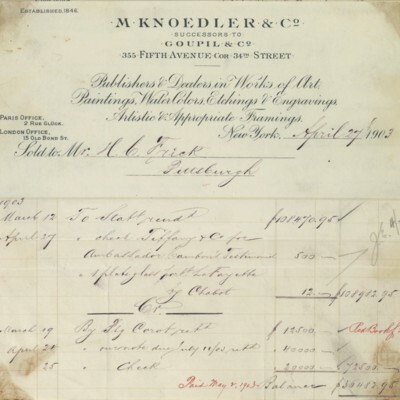 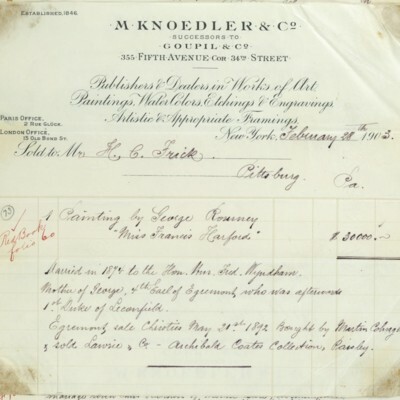 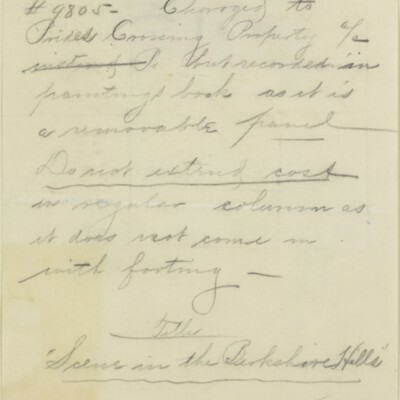 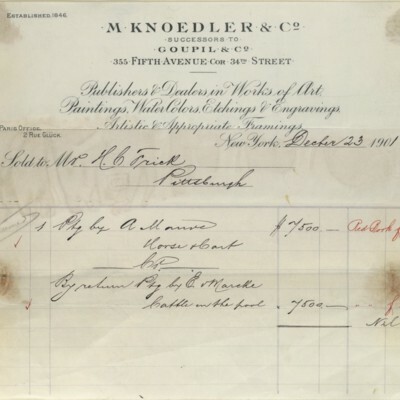 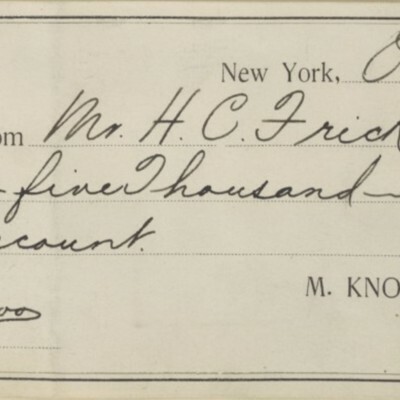 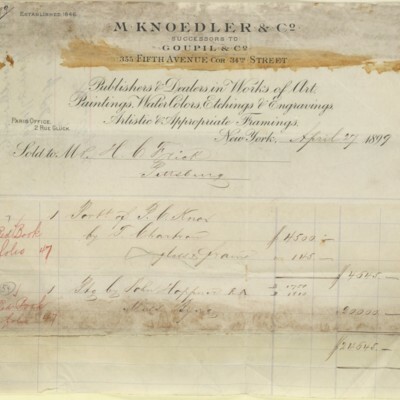 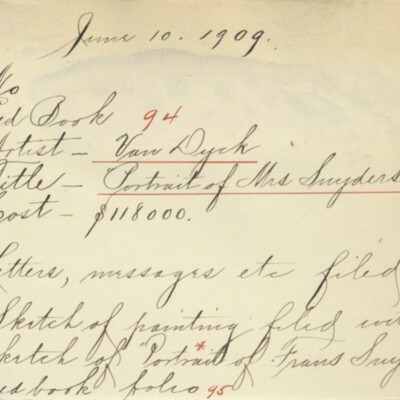 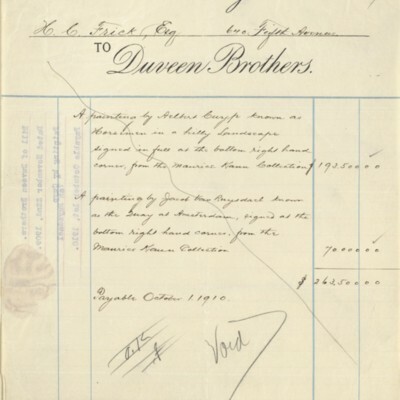 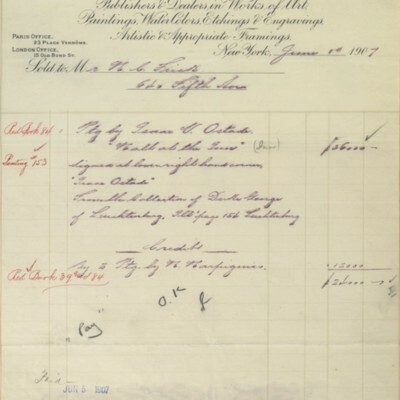 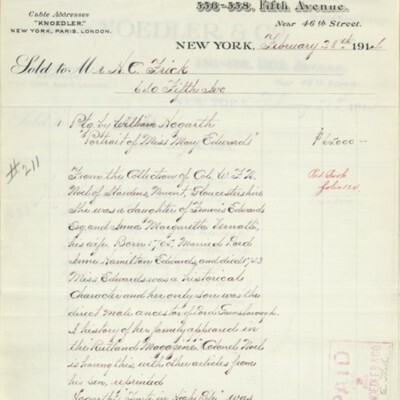 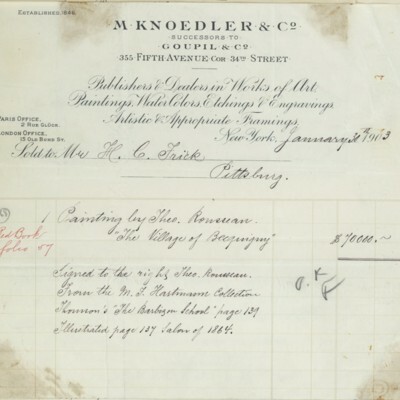 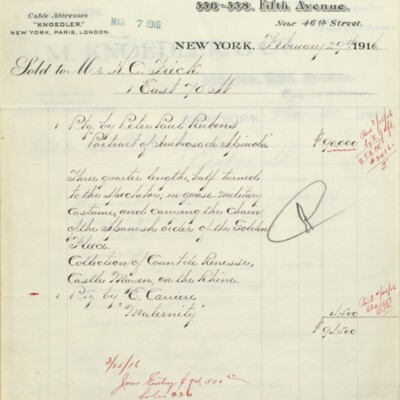 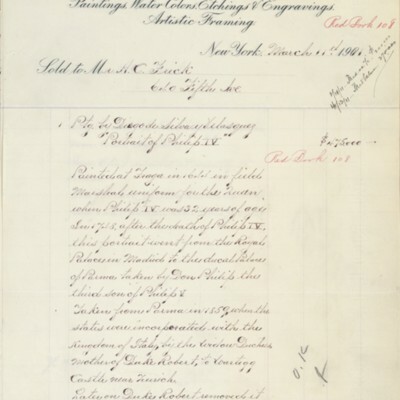 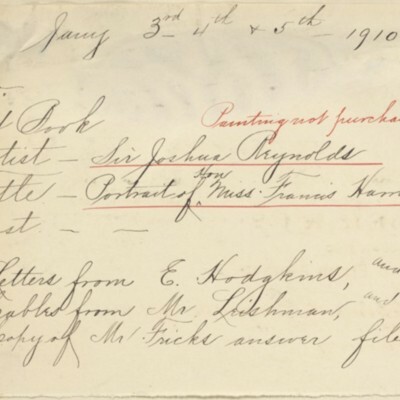 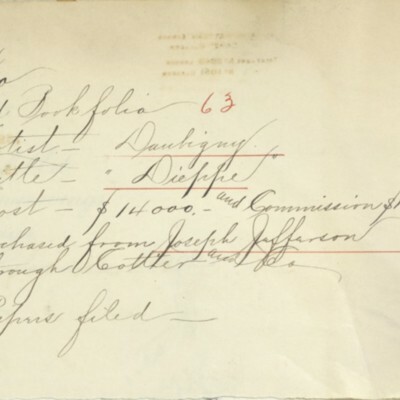 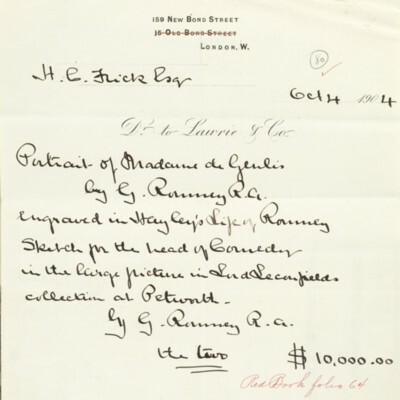 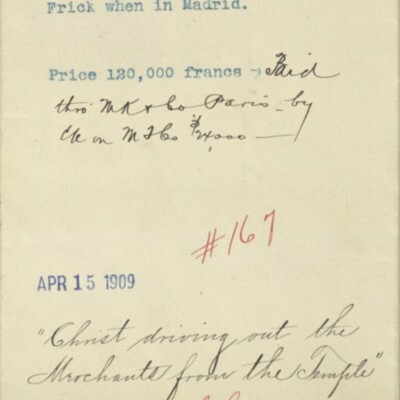 M. Knoedler & Co. Invoice, 21 February 1899. 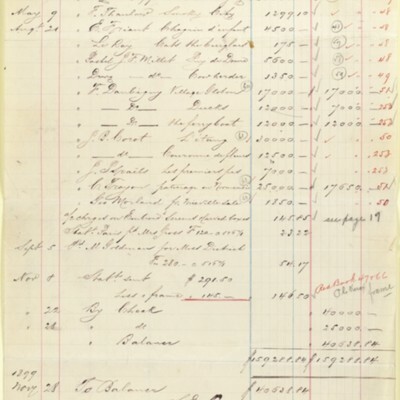 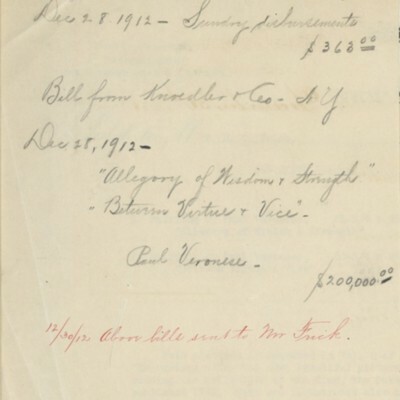 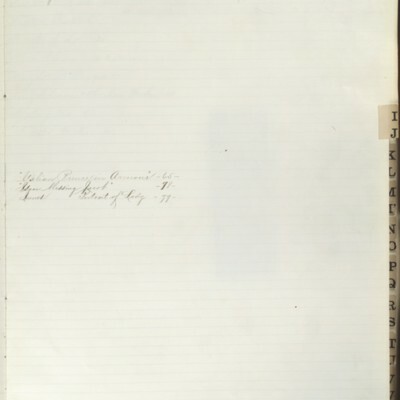 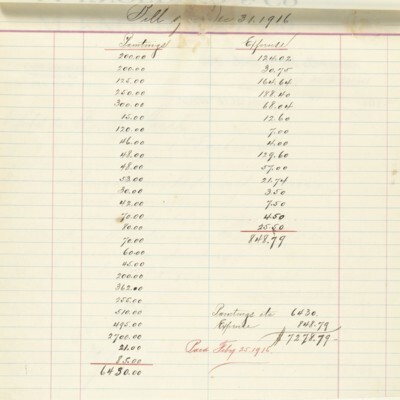 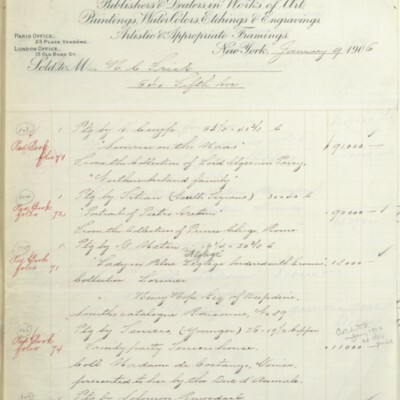 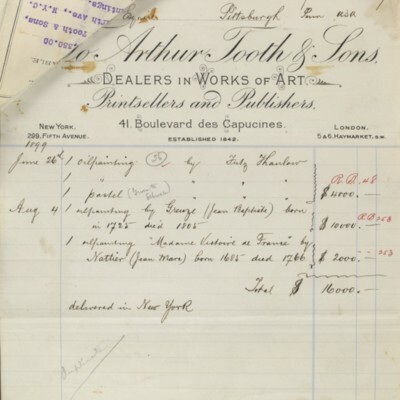 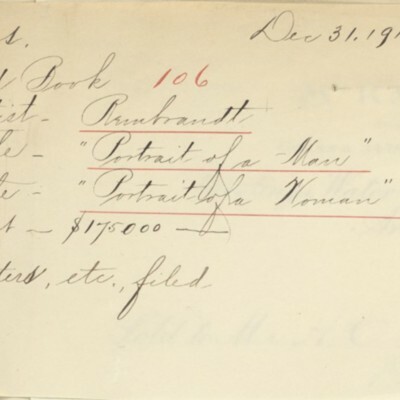 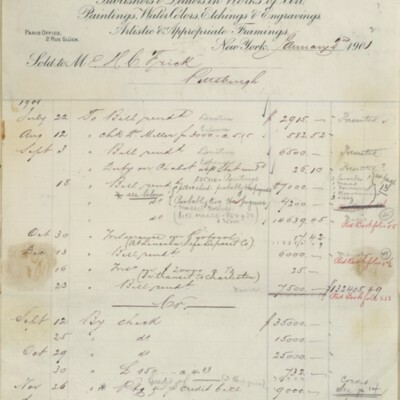 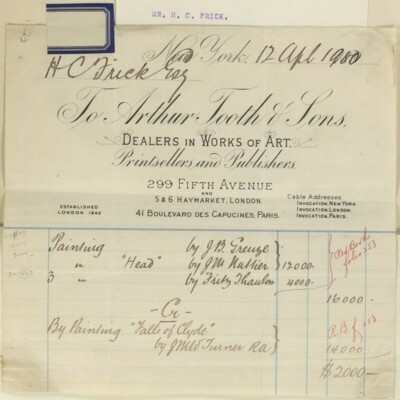 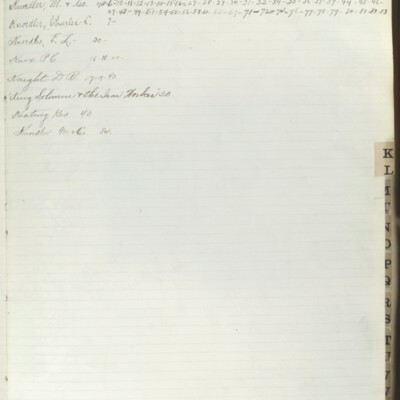 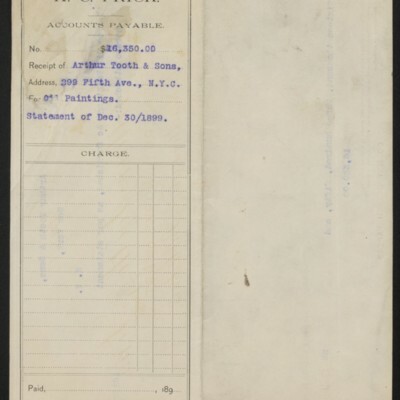 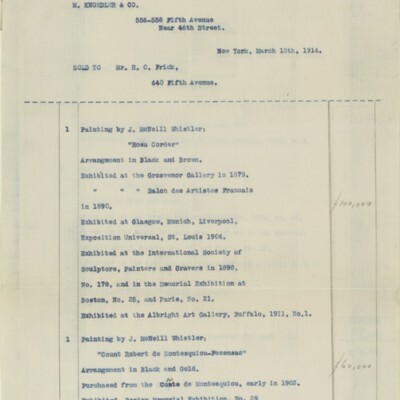 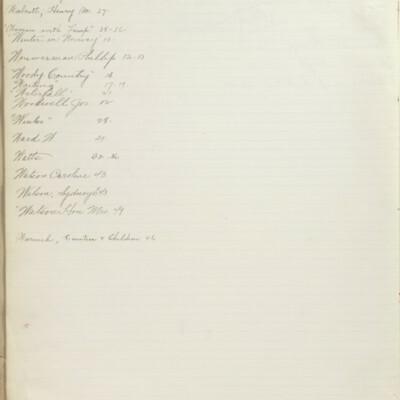 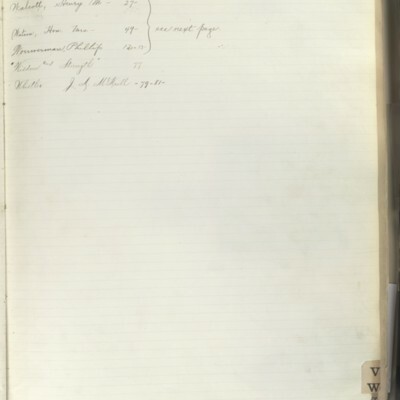 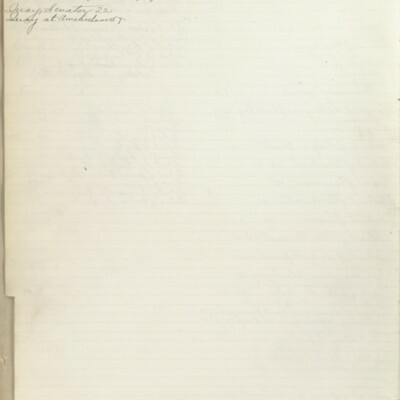 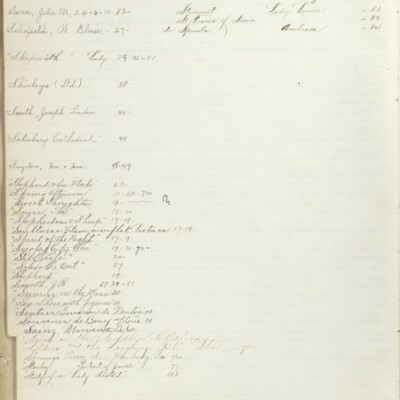 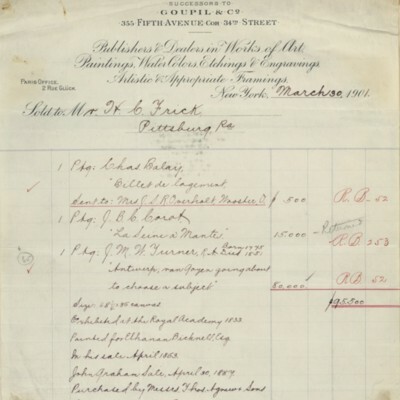 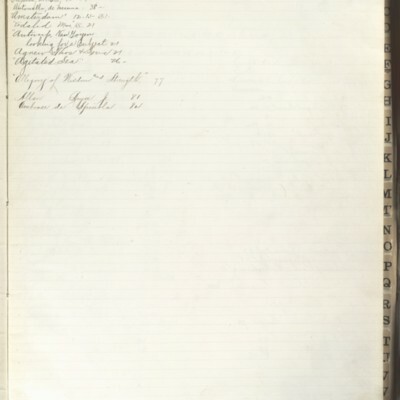 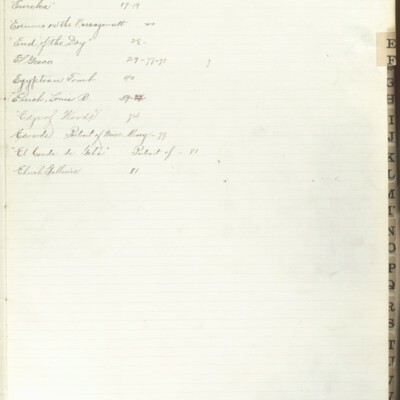 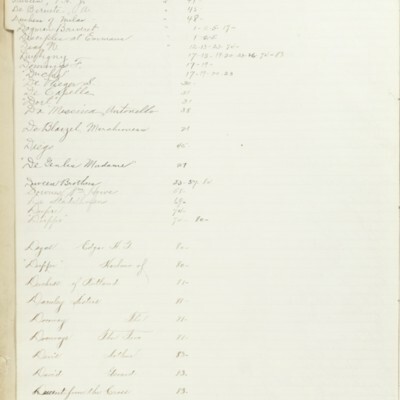 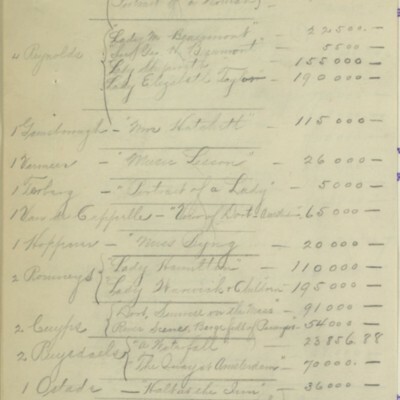 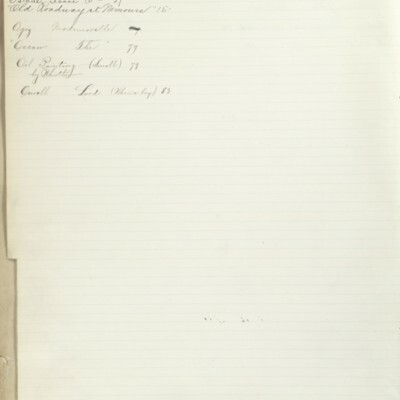 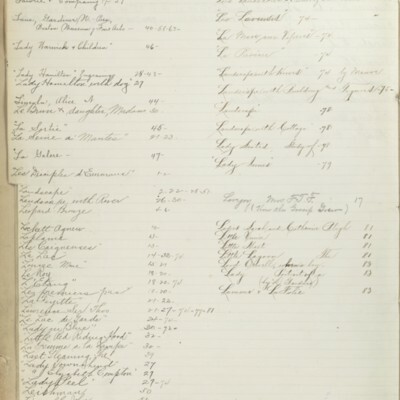 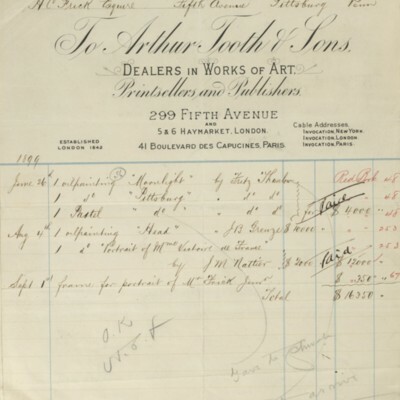 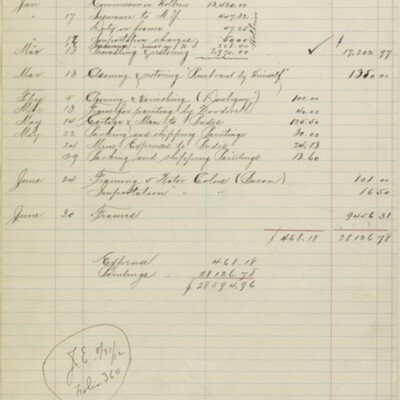 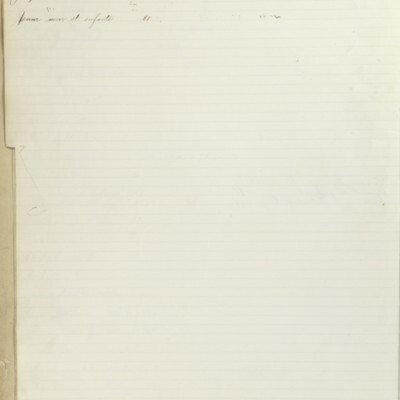 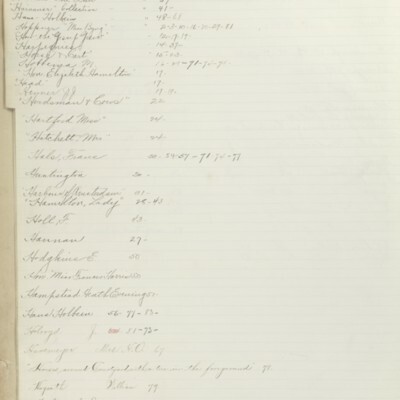 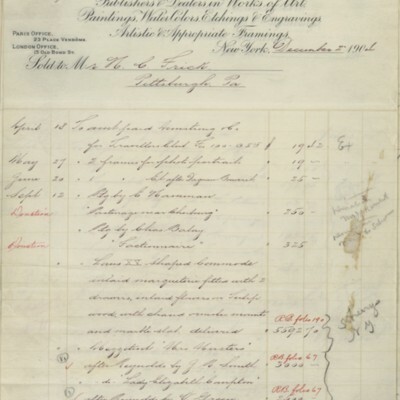 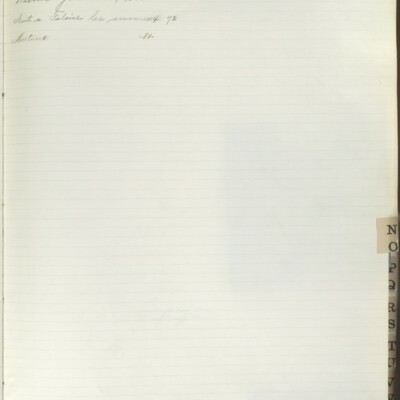 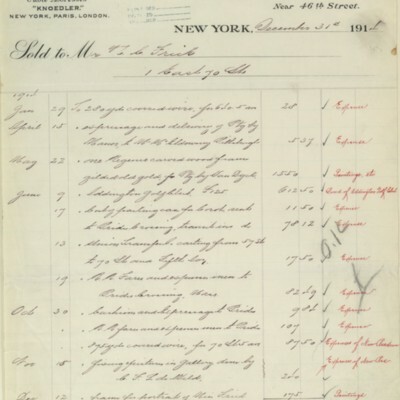 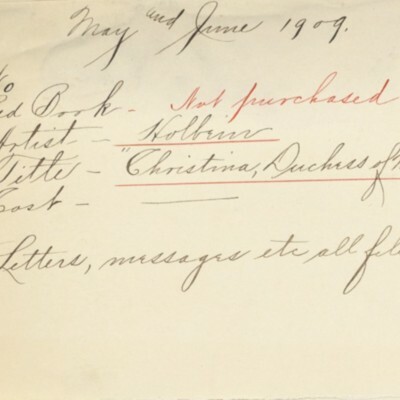 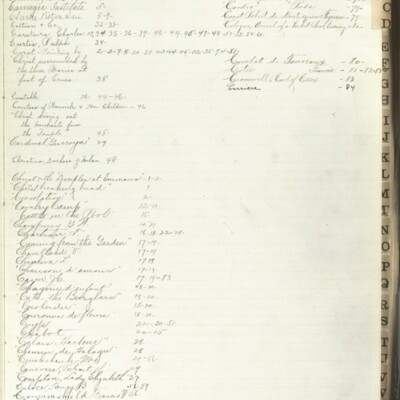 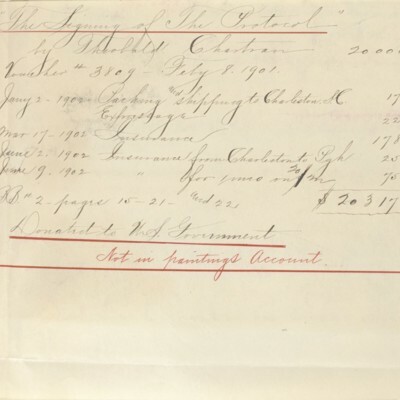 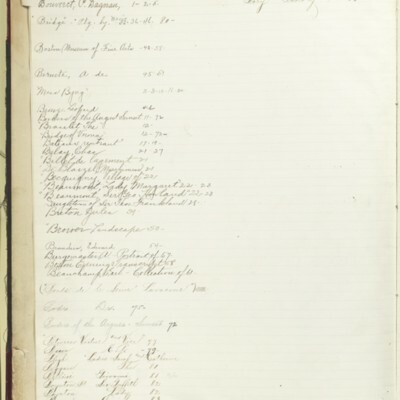 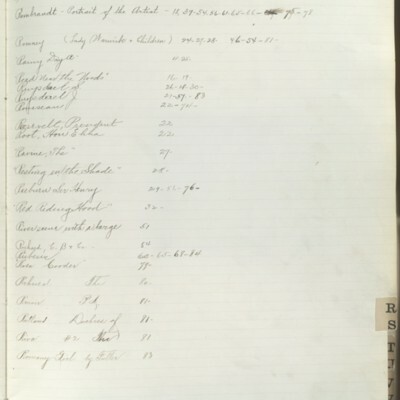 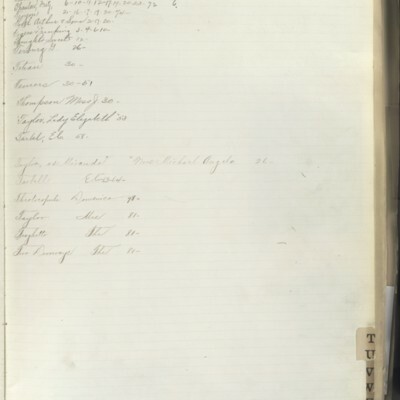 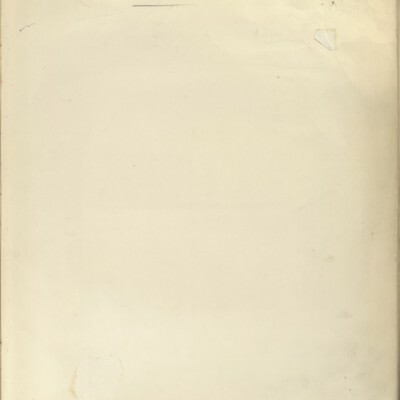 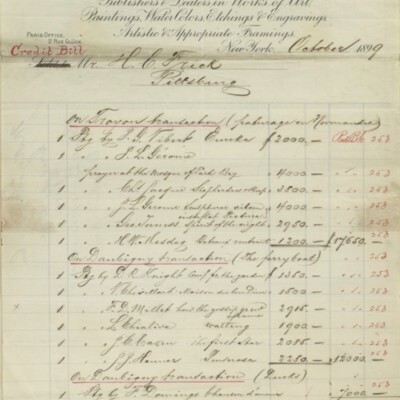 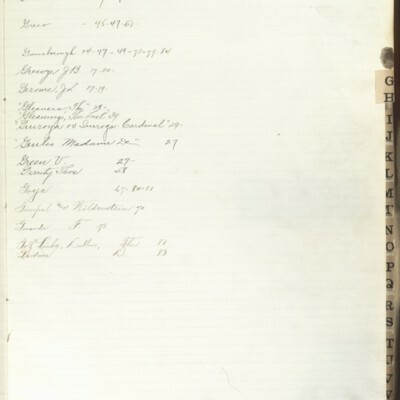 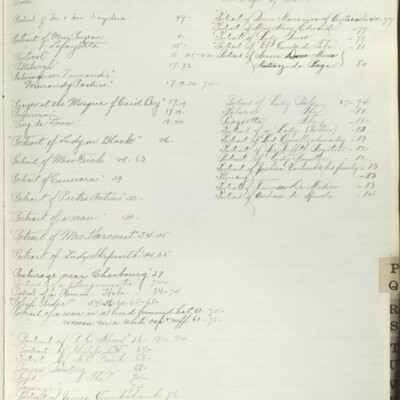 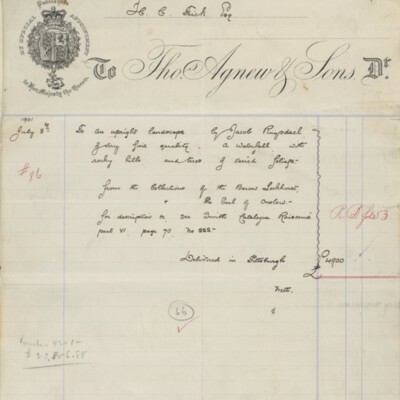 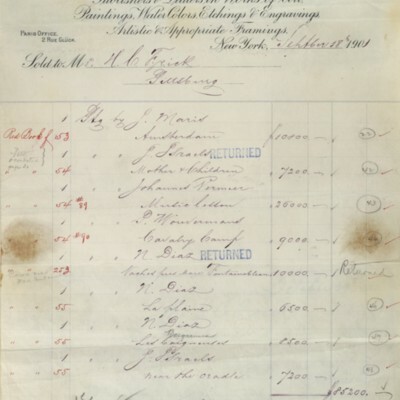 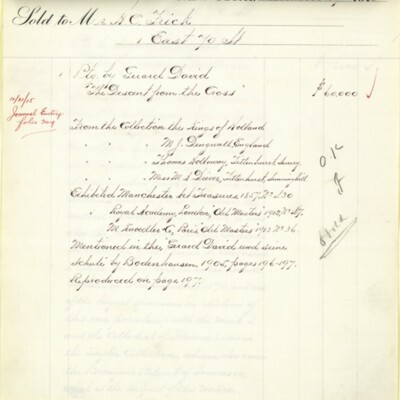 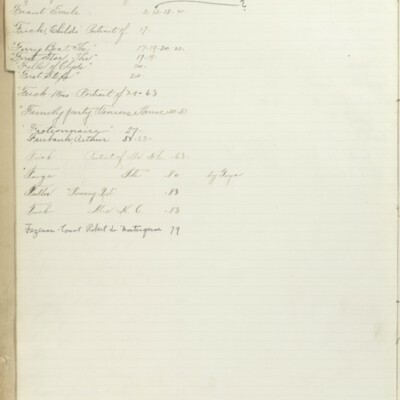 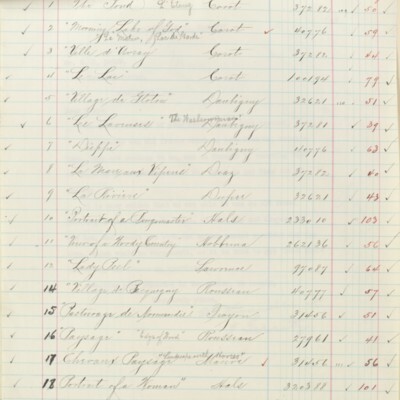 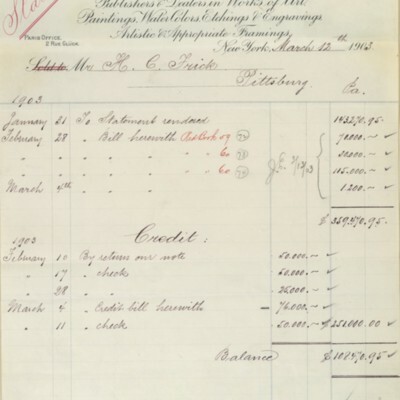 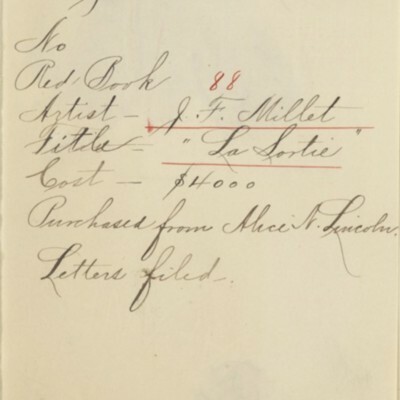 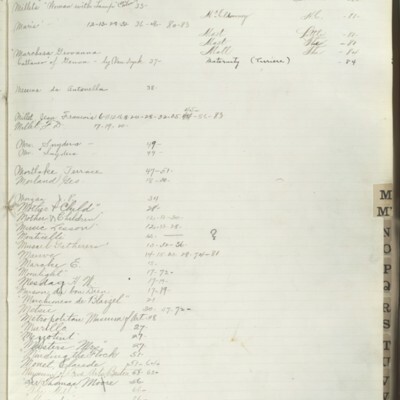 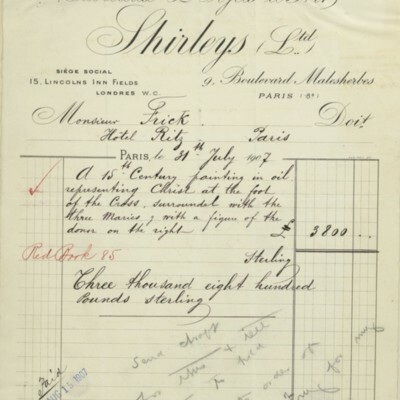 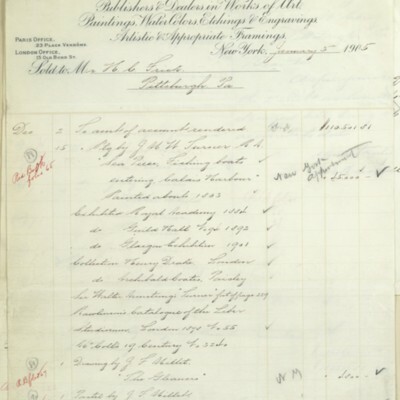 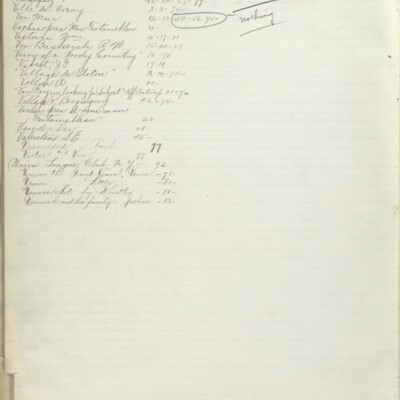 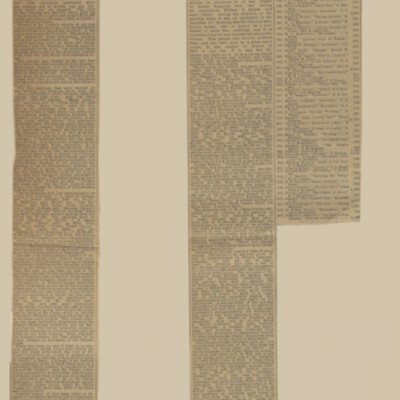 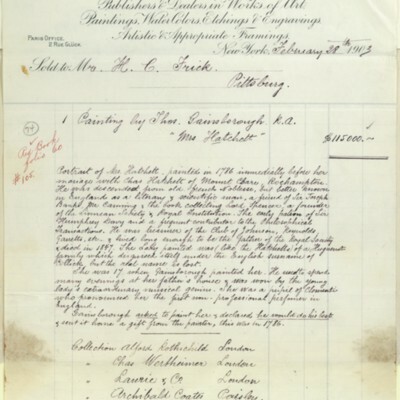 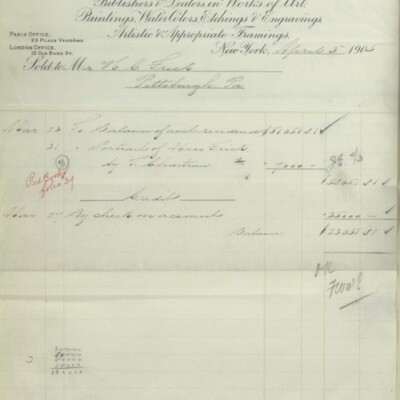 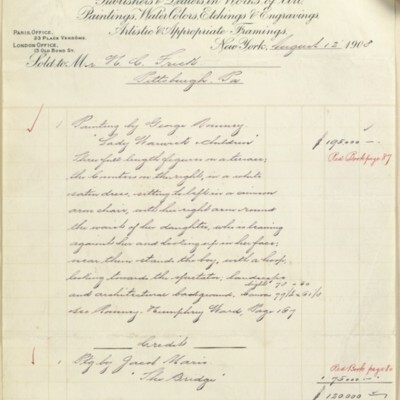 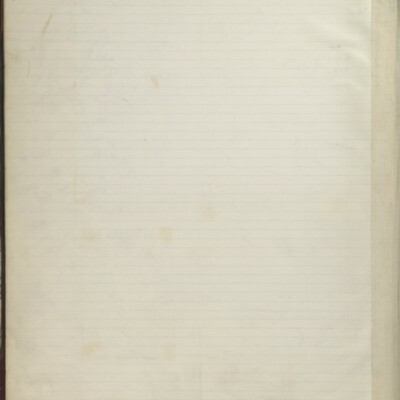 Account summary from Arthur Tooth & Sons, 30 December 1899. 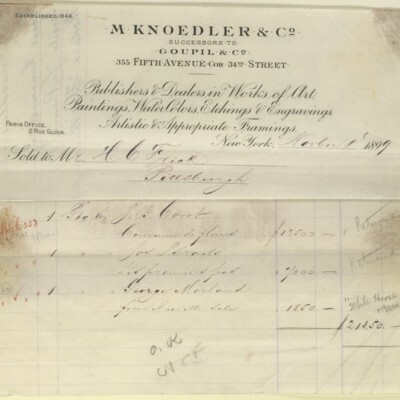 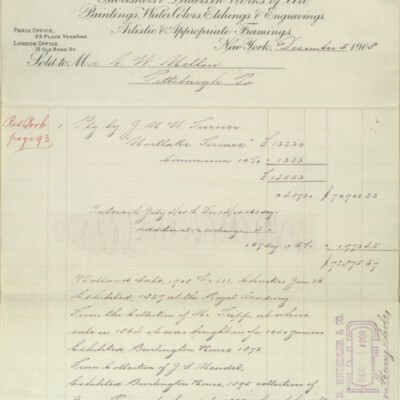 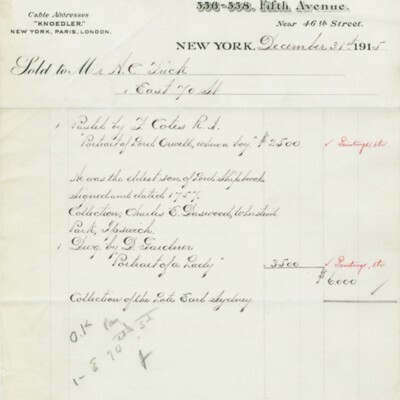 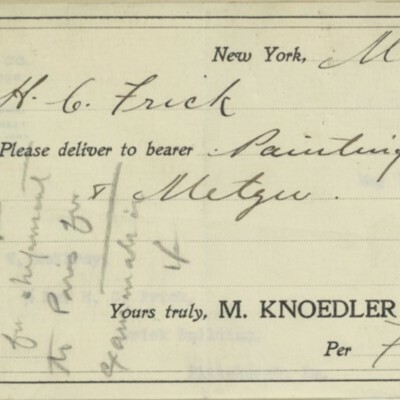 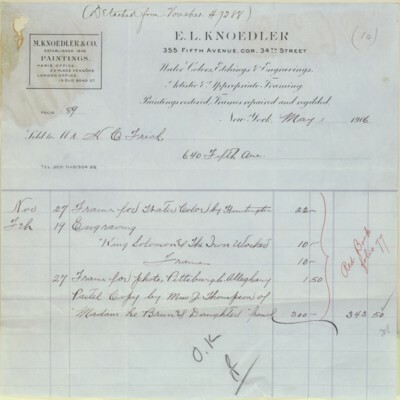 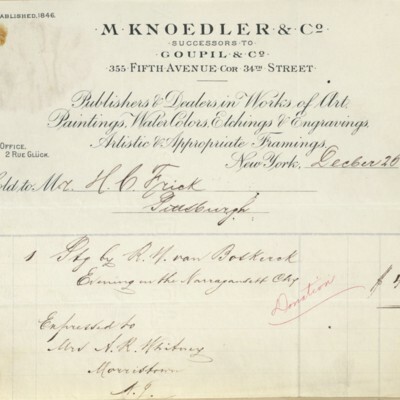 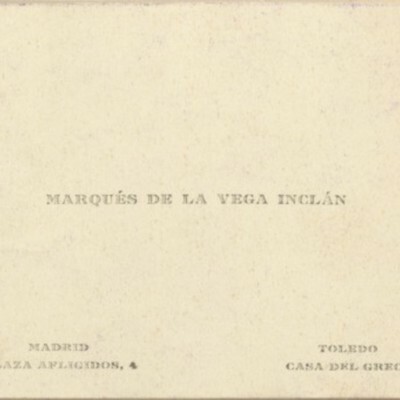 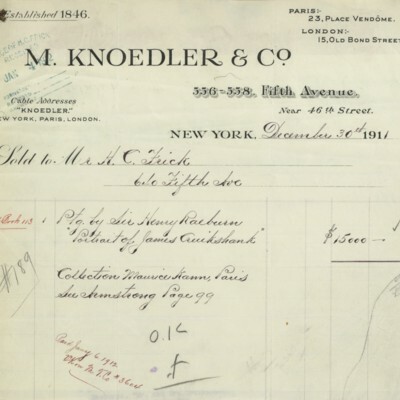 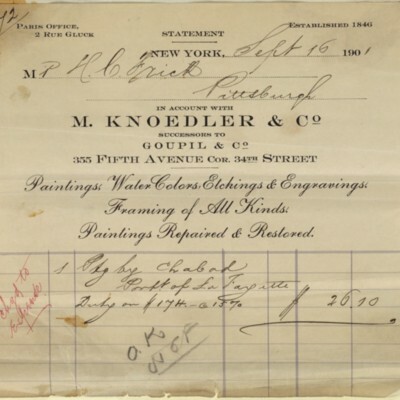 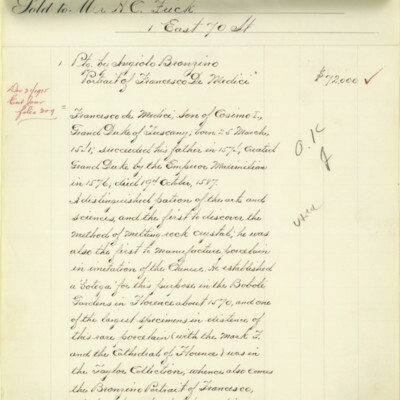 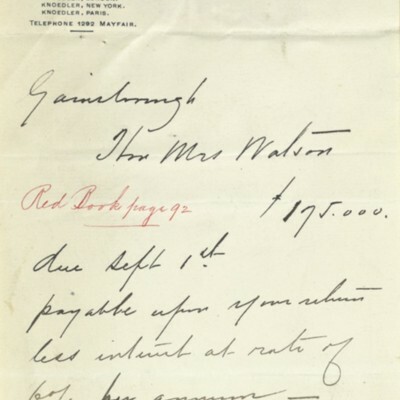 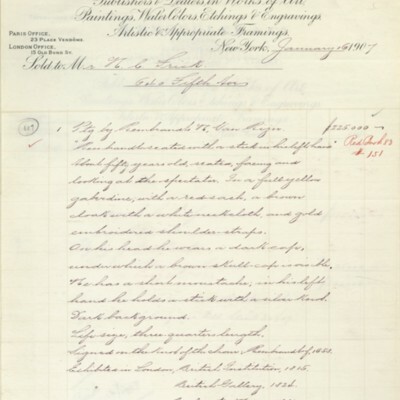 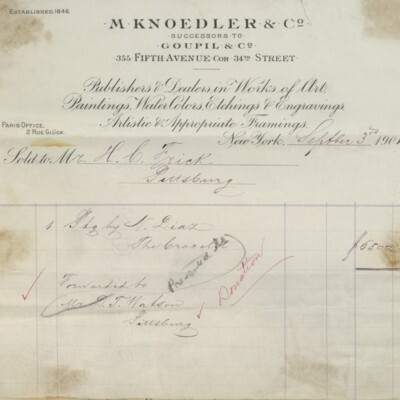 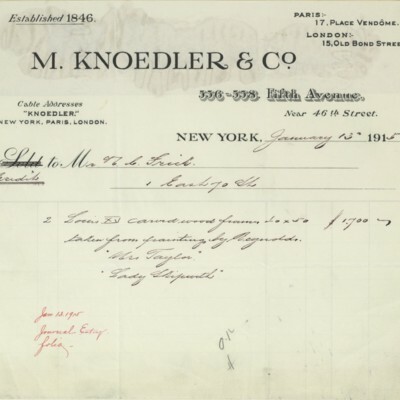 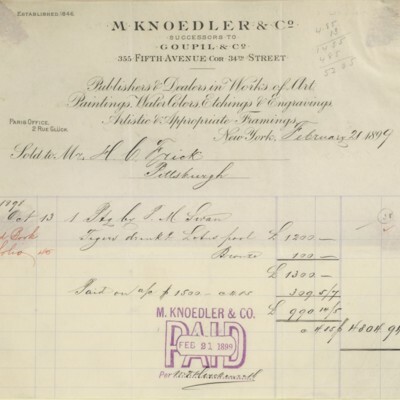 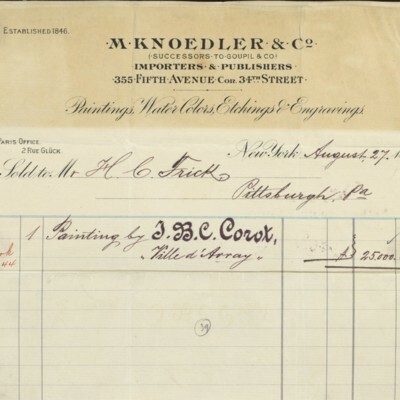 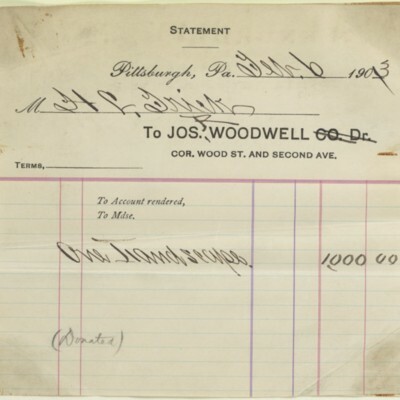 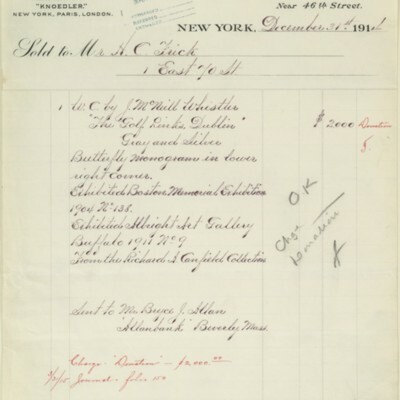 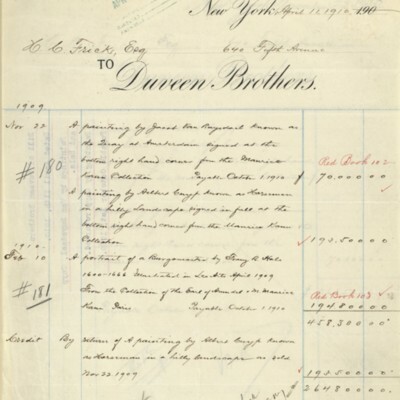 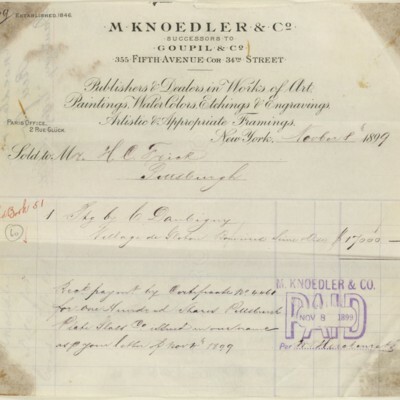 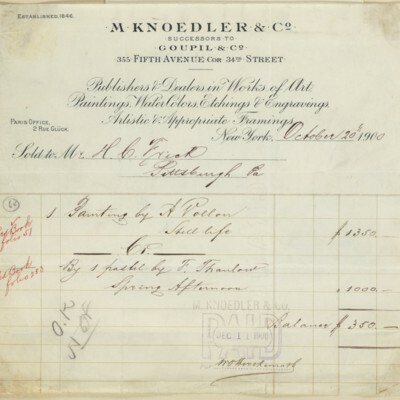 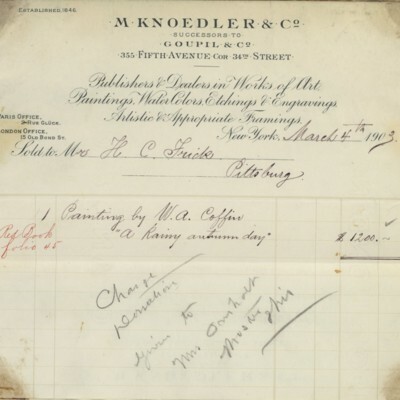 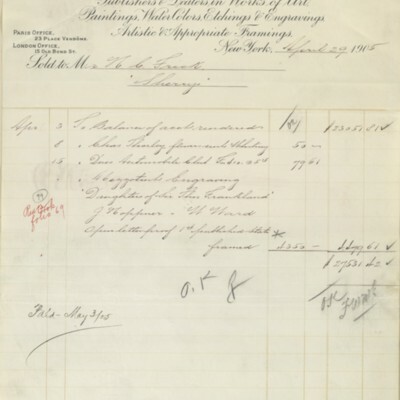 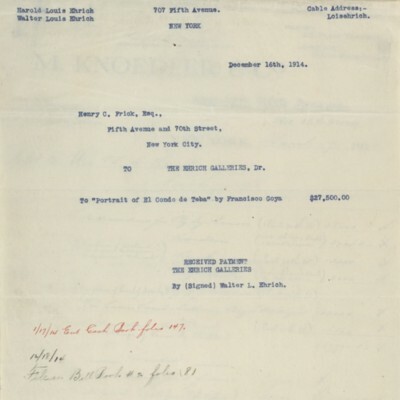 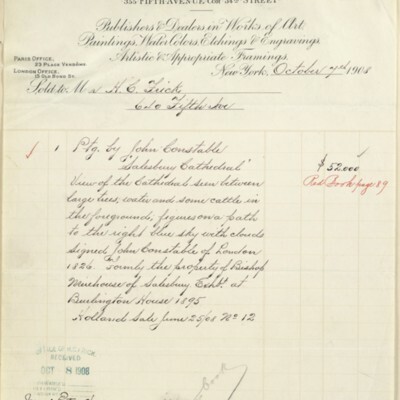 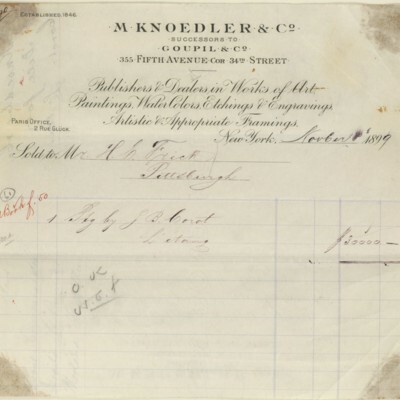 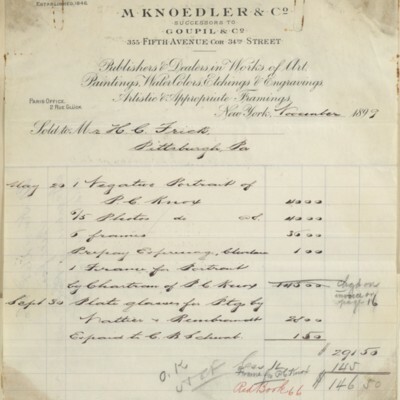 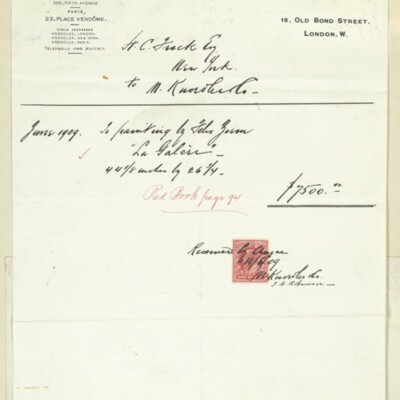 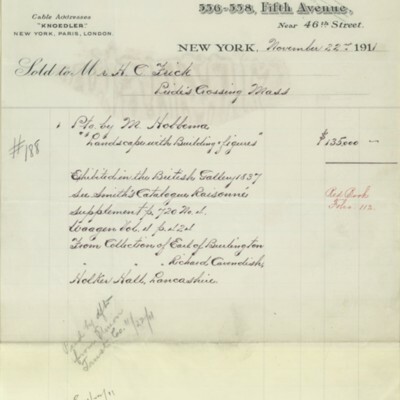 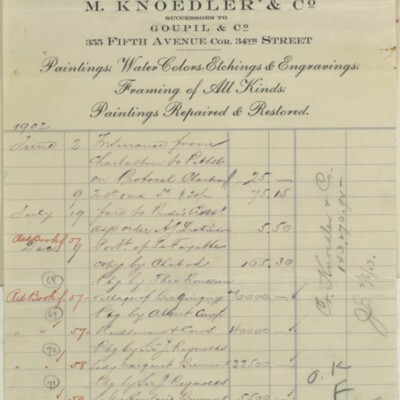 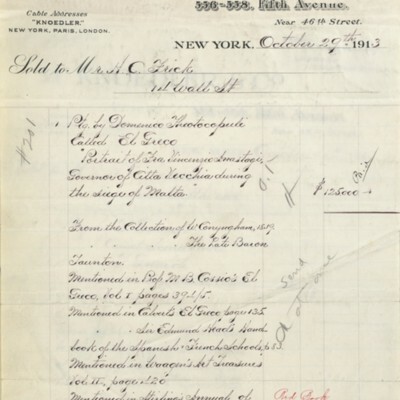 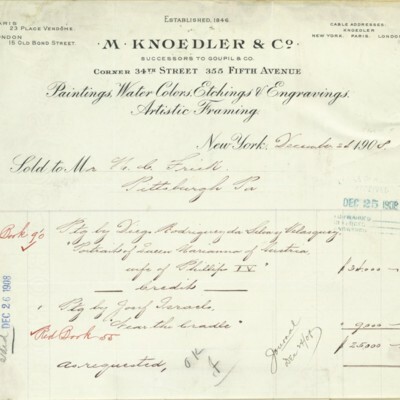 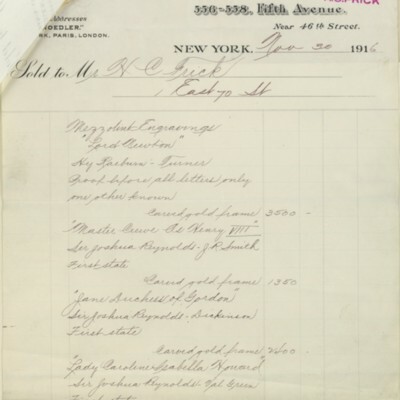 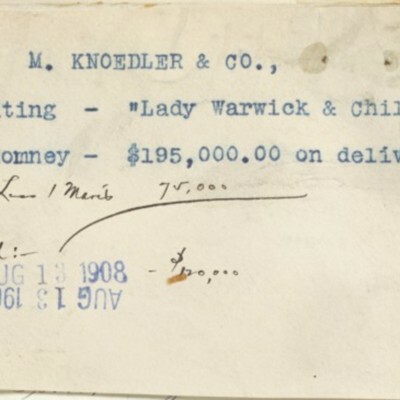 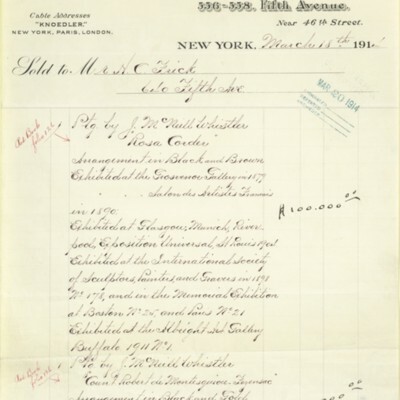 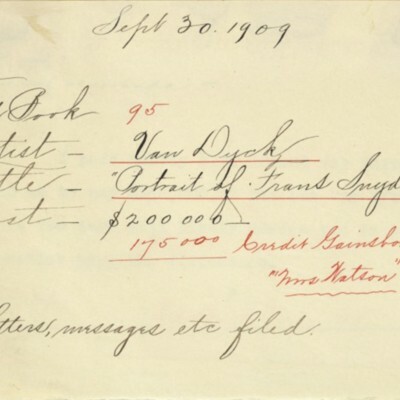 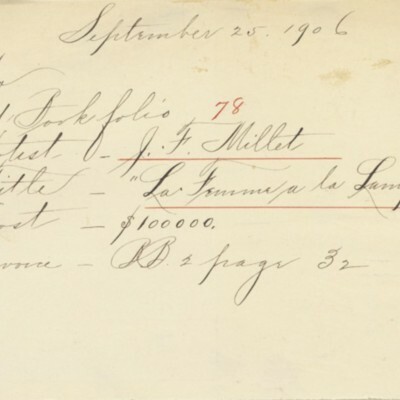 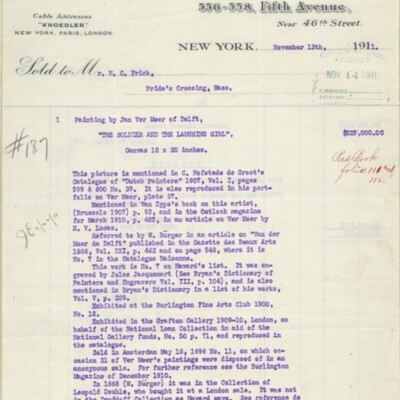 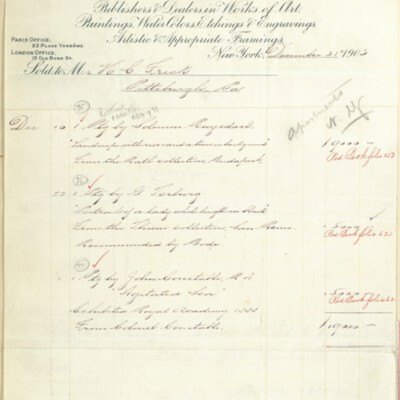 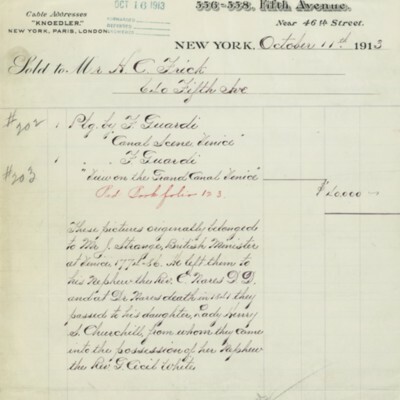 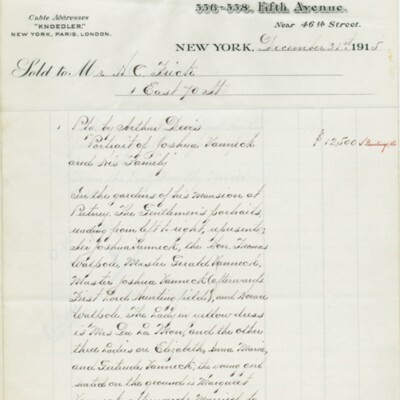 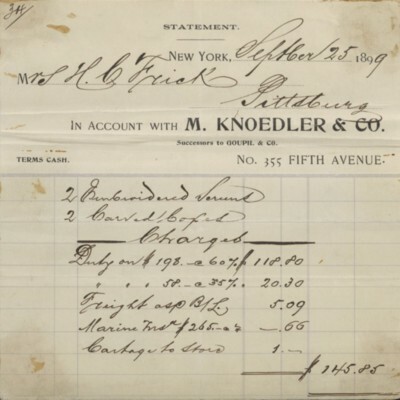 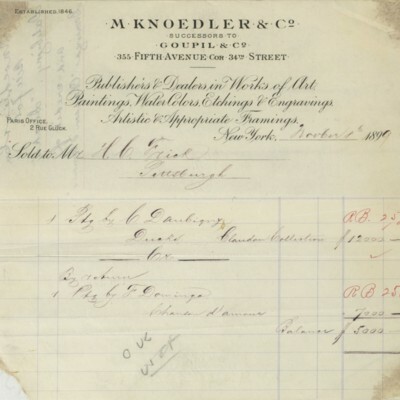 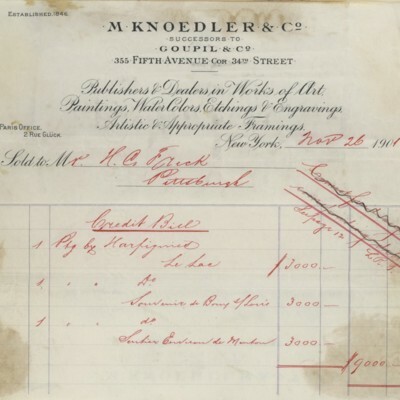 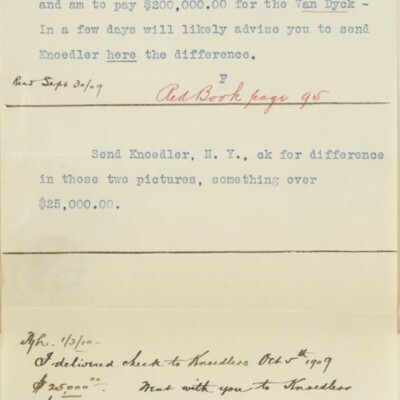 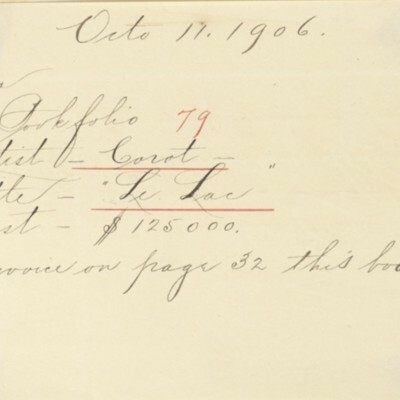 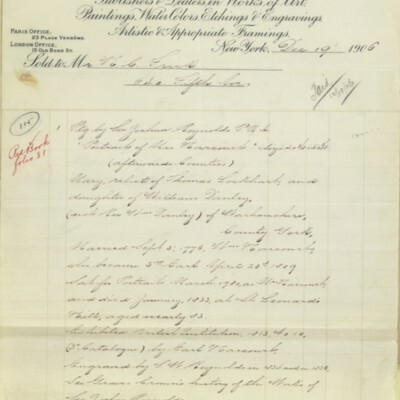 M. Knoedler & Co. Invoice, 8 November 1899.